What a fabulous service this morning to celebrate the harvest! Massive thanks to all seven classes for their wonderful and varied presentations which gave us an insight into the various aspects of harvest. You were all brilliant! 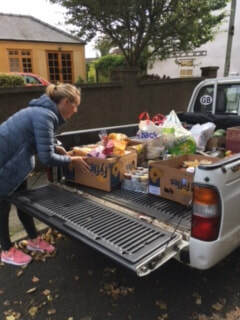 After the service concluded, Clara and Daisy stayed behind to help church members box up and load the produce into John's boot for delivery to The Carpenter's Arms. 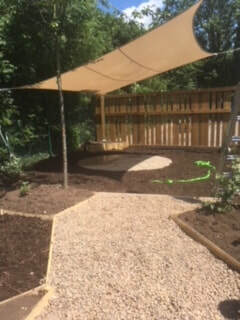 Our Spiritual Garden is taking shape! 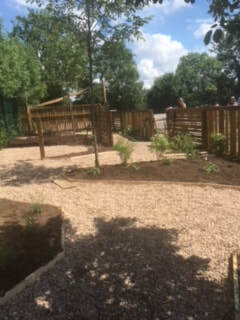 A massive thank you to all the staff, governors and parents who turned out on Sunday to move earth, dig out weeds, lay membrane, wheelbarrow mulch, topsoil and pebbles, and begin the planting process. It is really taking shape now-it's fabulous to see a dream become a reality! 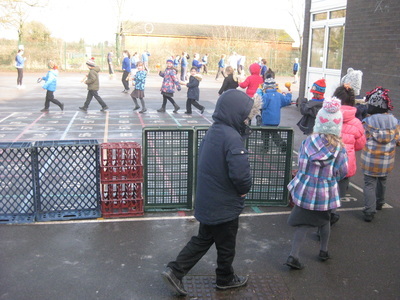 This space is going to hugely improve the experiences we are able to offer our children. 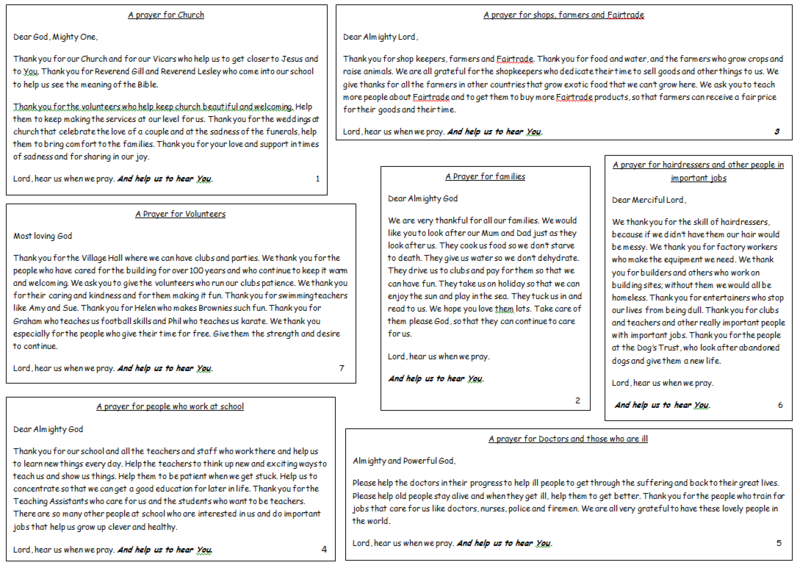 "Just wanted to say how great the prayers written by Class 3 children were this morning. Fantastic stuff!" 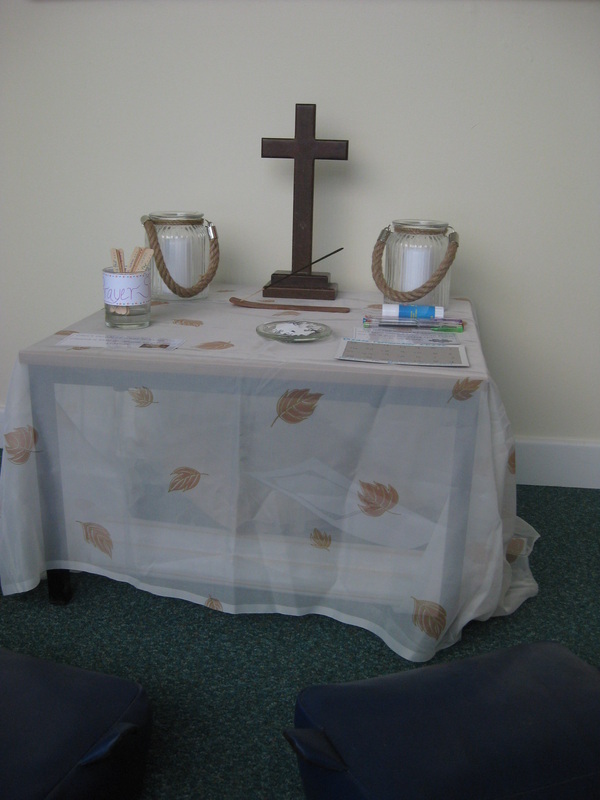 Prayer Week begins on Monday and the Prayer Space is all set to go. 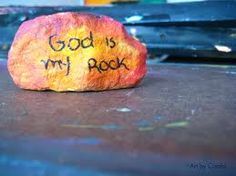 This year you will be able to decorate a Prayer Stone to eventually find a home in our Spiritual Garden which is beginning to take shape. This activity will take place outside the Prayer Room in order to maintain a calm and reflective atmosphere in the Prayer Room. 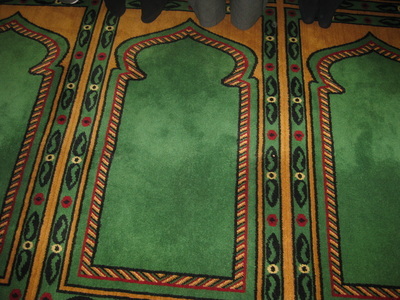 Once in the Prayer room you can sit or kneel and make your own prayers. 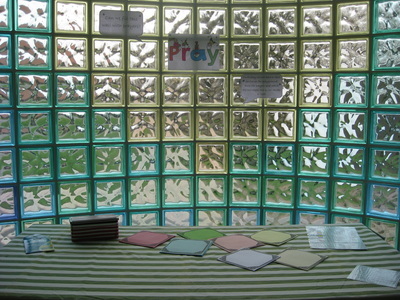 If you need help with what to say there are lots of ideas in the Prayer Space. Once you have prayed you can tie a ribbon onto the rugged cross as a sign that you have prayed. The Prayer Space will be open Monday to Friday 12.30-1pm, and for parents who wish to take part, Monday -Thursday 3.20-4pm. I do hope we will see you. 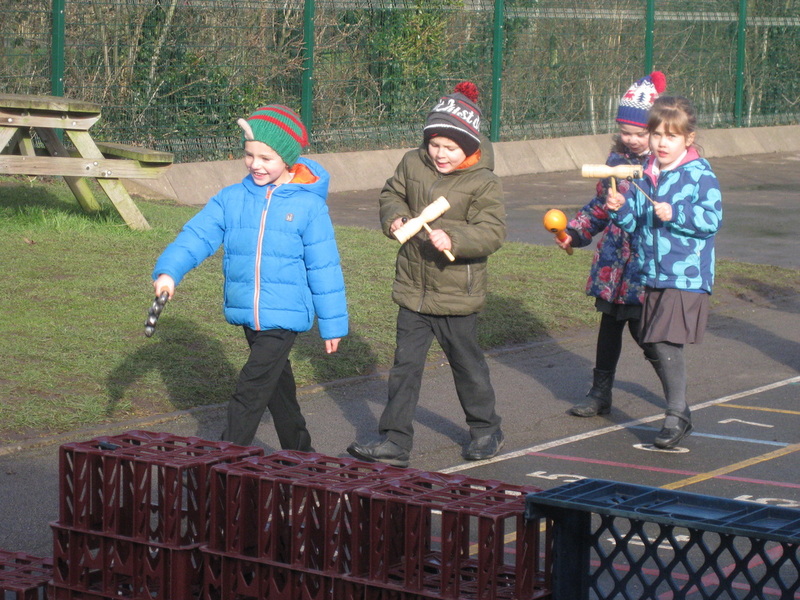 A very excited Class 2 set off as soon as school began on their "Journey to Bethlehem" today. The story began with the Creation, during which we found out that the world had turned bad and people had turned away from God. We set off to discover the solution. We met Mary in her kitchen making bread, when suddenly Angel Gabriel appeared with a very special message. After that, while watching over our sheep, we met that angel again who told us to get over to Bethlehem to see what had happened in the stable. The animals kept us very entertained. A kind king invited us into his palace and showed us the gifts they brought. Finally we met the storyteller again who explained that God sent His son to put right the wrongs that were occurring in the world. 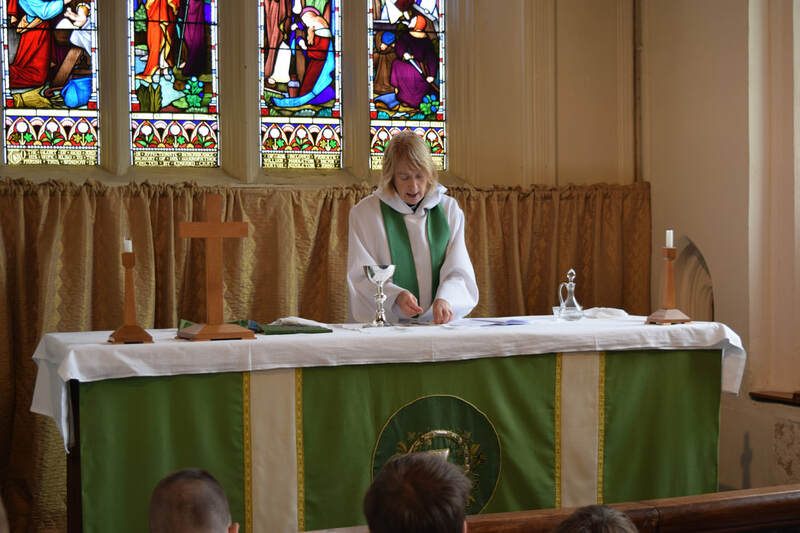 We were fortunate to be accompanied by Rev Lauretta,, who was very complimentary about the behaviour and attentiveness of our children. CoWo Club lost a large number of members to Secondary School in July, who had been the main stay of the club for several years. 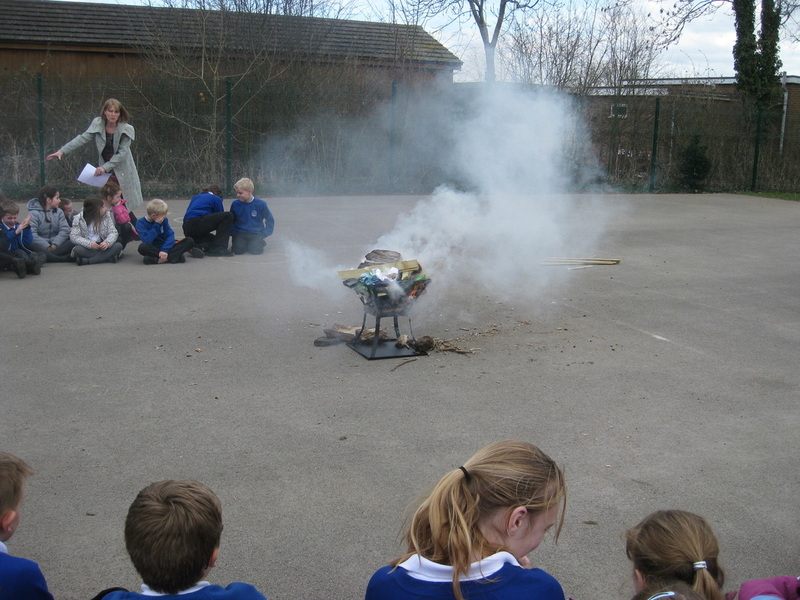 With a much smaller membership, the children had a lot to live up to, and pulled it off brilliantly. The opening piece, in which they acted the parts of grieving relatives of a Fallen Soldier, set a poignant scene and was followed by the Soldier Song. The message today was that although war causes great sadness, good can arise and it is up to us to move forward in harmony and work to promote peace and understanding. Thank you to the parents, grandparents and church members for joining us today-we are glad that you were able to share in our service. CoWo Club will be leading the Advent Service in 3 weeks and all will again be most welcome. It's always exciting when you can create a situation for both the hats you wear! Today during our European Day of Languages celebration on October 10th and 11th, which for me was Sri Lanka, I set up an activity to create Buddhist style Prayer Flags which we will be putting up in the hall. Big thanks to my Textiles expert friend Helen Sheldon and crafting genius Ms Collier for helping out with this. 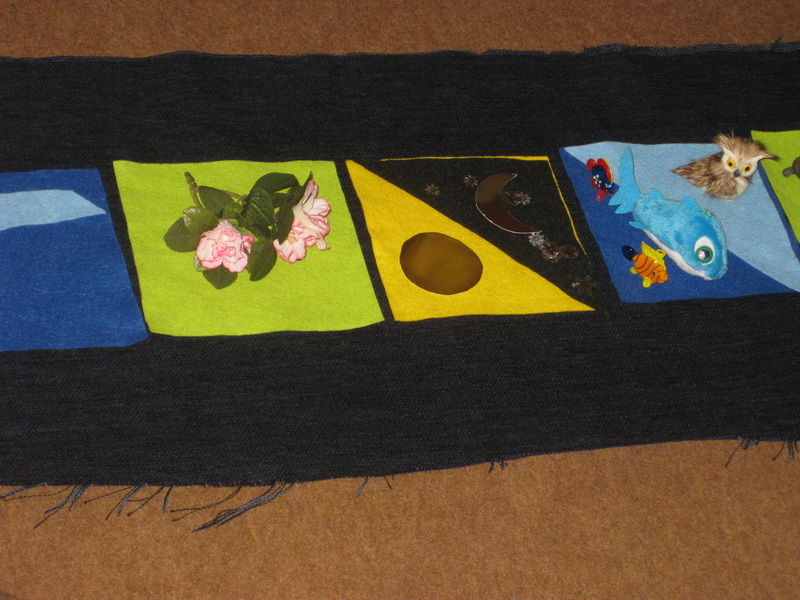 I am sure you will agree that this will be a fabulous addition to creating a marvellous prayerful feel to our Hall. 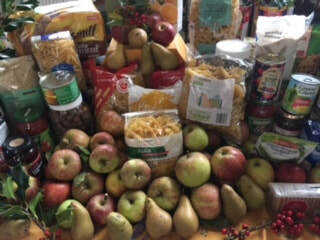 We would like to say a massive thank you to everyone who made a contribution to our Harvest Table. 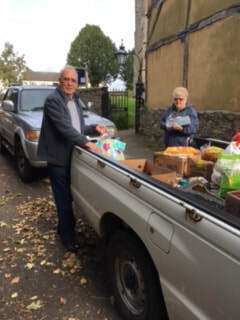 After our Harvest Festival this morning,church members loaded our produce and that which they had collected at their own Harvest Service yesterday into Mr Worsfold's truck and this afternoon it will be delivered to The Carpenter's Arms, a Christian charity in Loughborough, who will use it to feed people less fortunate than ourselves. CoWo Club begins again on Thursday 7th September. 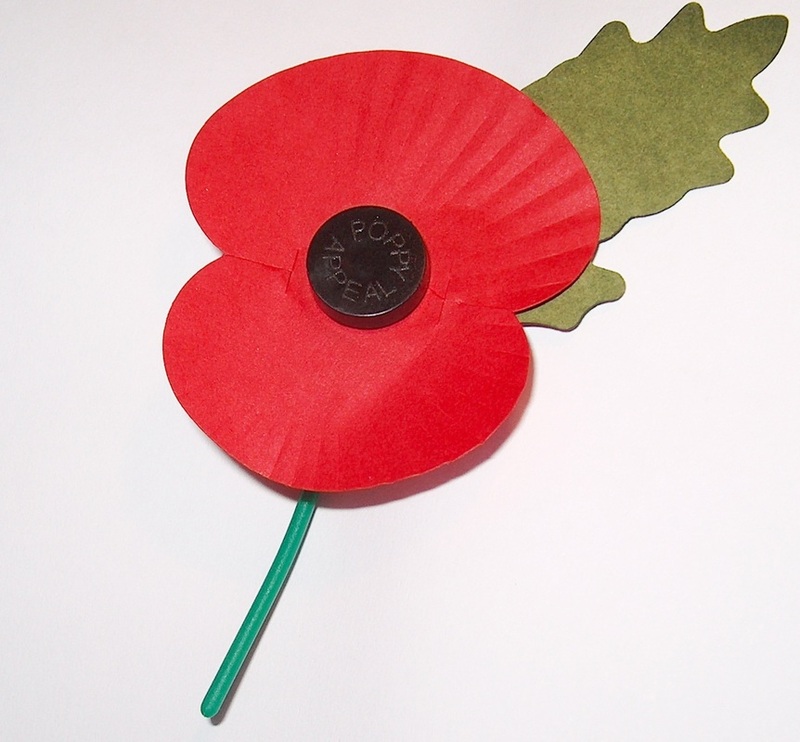 Look out this term for the Shoe Box appeal, our Harvest Festival, and Remembrance Day and Advent Assemblies. Diocesan Syllabus and the Understanding Christianity Resource. Class F Which stories are special and why? Class 1 What does it mean to be a member of a faith community? Class 2 Who made the World? 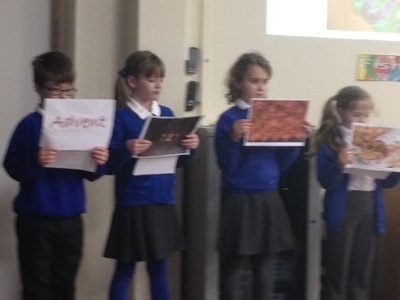 Class 3 What do Christians learn from the Creation Story? 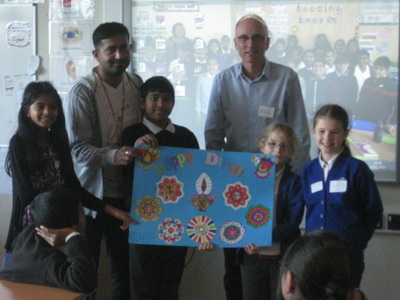 Class 4 What does it mean to be a Hindu in Britain today? Class 5 What matters most to Christians and Hindus? CoWo Club presented its final assembly of the year toady entitled Journeys. 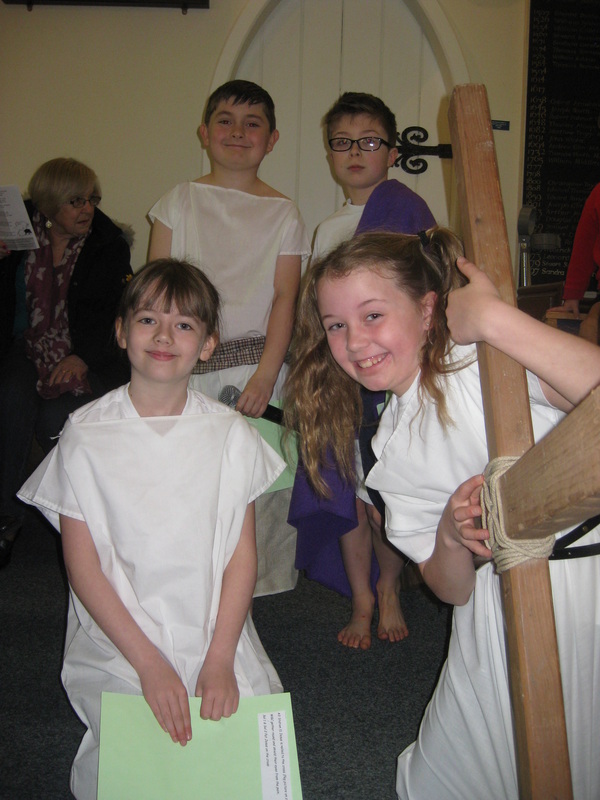 The 13 children had devised and written the whole thing and led our worship brilliantly. 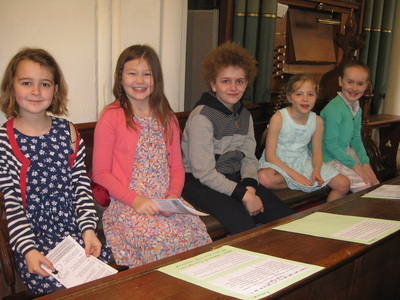 We were joined by parents and church members who had been invited during our coffee morning visit on Wednesday. It was fabulous to have so many visitors join us- we thank you very much. CoWo Club explained that journeys happen all the time in our lives and highlighted some of the many journeys that we all take all the time. They did a brilliant job-thank you CoWo Club. What an exciting afternoon for Class 2! 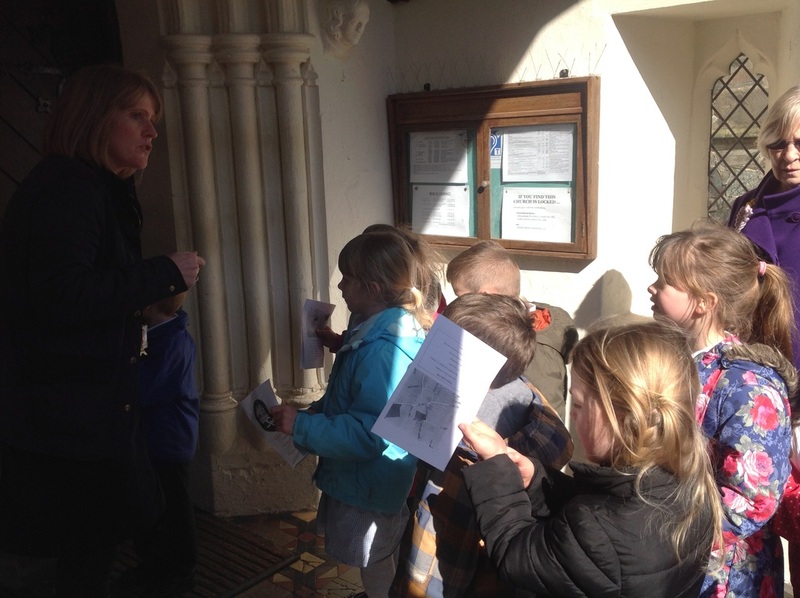 We were invited to go through the secret door and visit the bell tower to find out all about Hathern Church's bells. Mr and Mrs Croft and Mrs Tatterton took us to the Bell Tower and showed us how the bells hang down when they are not in use, but have to be raised into an upside down position ready for ringing. They showed us how to get the bells ready for this, while talking to us about the age of the eight different bells. Emma Gillespie then showed us how to ring a bell-she was good! Then Mr Croft, Mrs Tatterton and Rachel Tatterton rand a round for us. They all rang a different bell in order and we could hear how the tones of the bells were different, which is how a tune can be made. At the end all of the children got to chime one of the bells. We had a brilliant time-thank you all so much! When my CoWo Club members told me they wanted to have a CoWo Day when they could do something good in the community, I was both delighted and lacking in ideas. However it was not long before I had made arrangements with the organisers at SS Peter and Paul Church Coffee Morning to bring the children up to lend a hand! 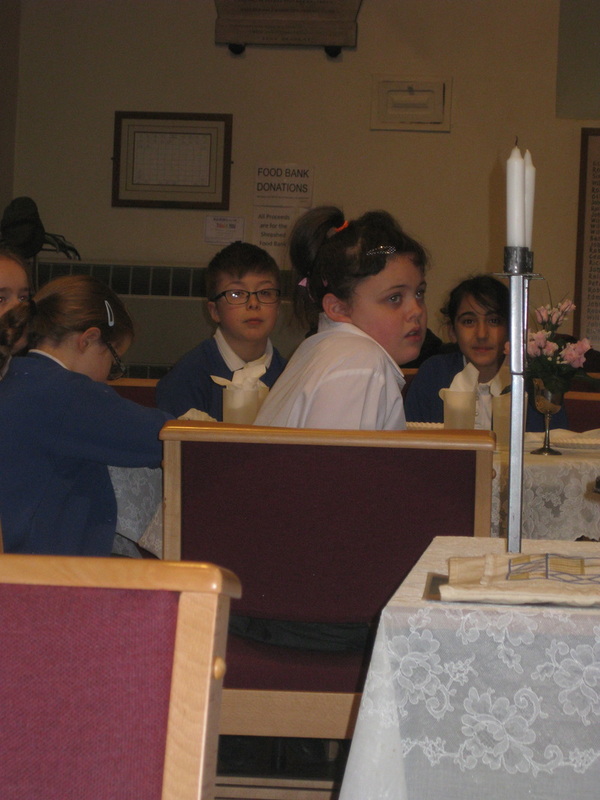 On Wednesday morning I took seven year 6 children to church to help Mrs Worsfold set up and then run coffee morning. 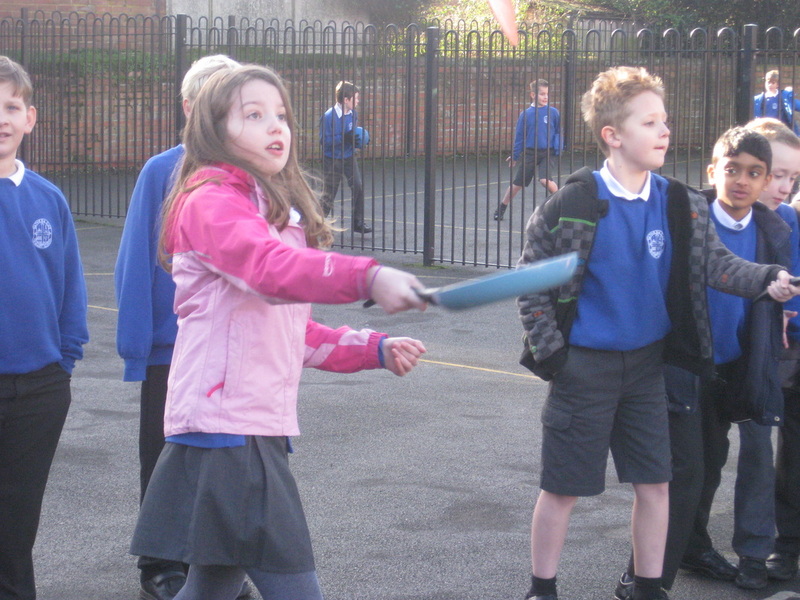 The children were incredibly excited and behaved impeccably. 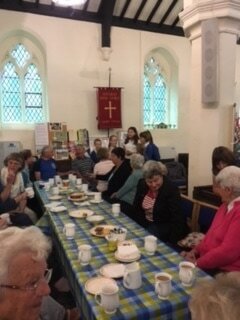 They worked hard and chatted easily with the coffee morning attendees. 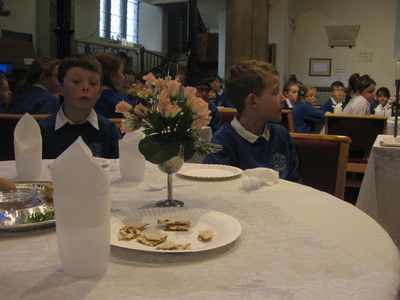 Their attendance was very much appreciated and they especially loved the cakes the children brought along! Thank you so much for having us-we'd love to do it again soon! Prayer Week 2017 is upon us! 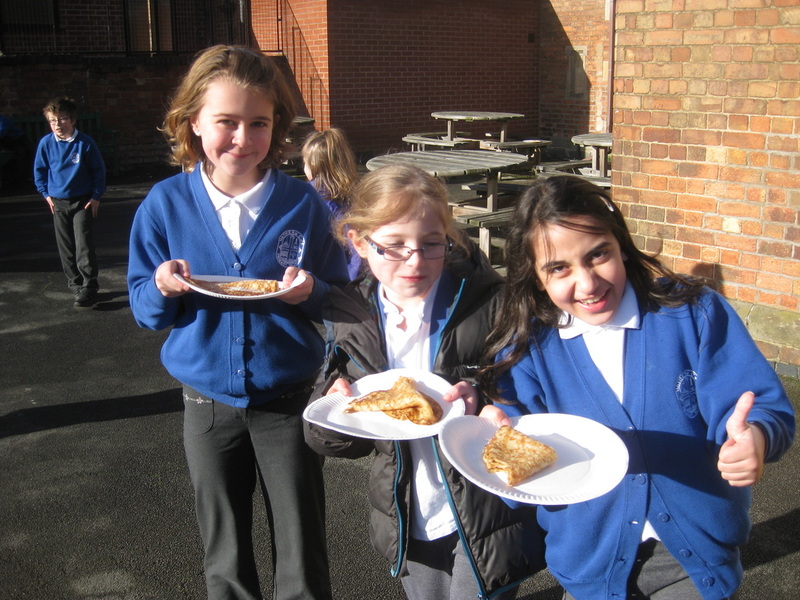 What a fabulous week of glorious sunshine for our Prayer Week! Our Prayer Space opened on Monday lunchtime and children have been queuing out of the door to use it! In every class you can see children wearing bead bracelets made of the initial letter of the 5 people they want to pray for. As children return to the space, they kneel or sit and ask God to watch over each of their 5 in turn. Some children have told me that they are even remembering to pray at home for these 5 too. 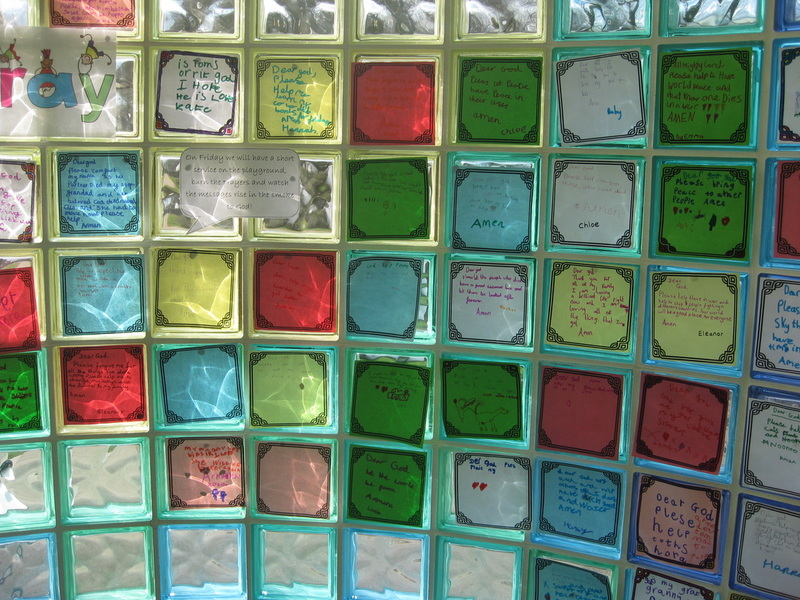 The comments about the Prayer Space include " I LOVE it!" "It's very calm," and "Thank you for letting me come. I had a good time and I prayed very much!" 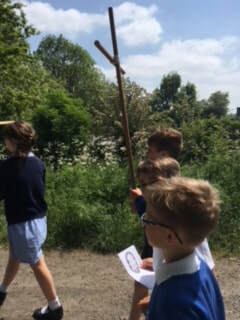 Alongside the Prayer Space we have also been Prayer Walking. Each class has been out with members of our church to pray for God's gifts. These include The Gift of Health, of Uniqueness, of Jesus Christ and of Family. You can read the prayers below. It has been a very special week! 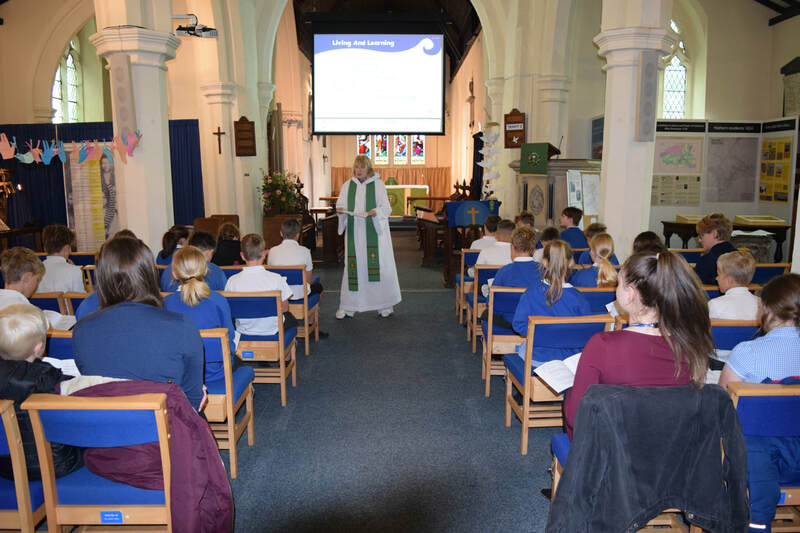 Not only do we have a new curriculum from the Diocese this year, but as a Church of England School we have a new Understanding Christianity Curriculum too! This has been exciting for us all! Last week in Class 4 we were finding out about The Holy Spirit. 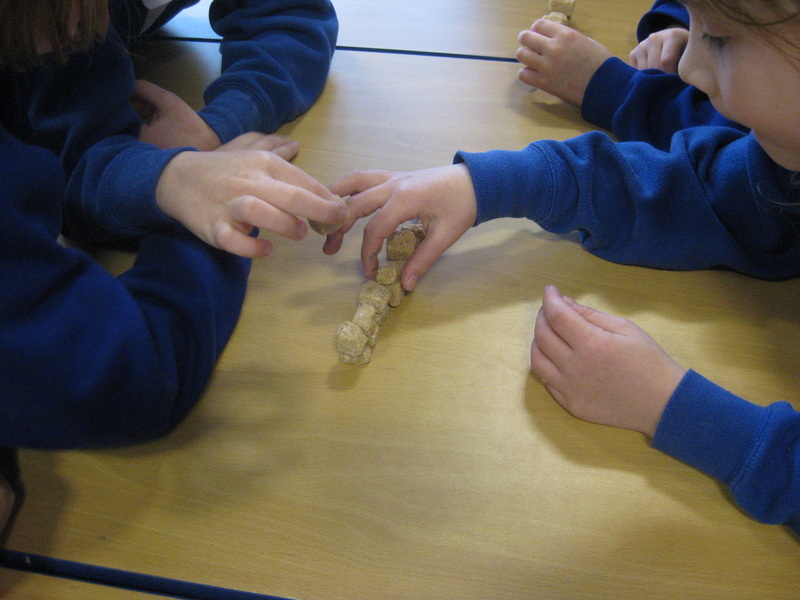 This is tricky to understand, but after some serious discussion and questioning the children set out to explain how the Holy Spirit could help them in a variety of situations. 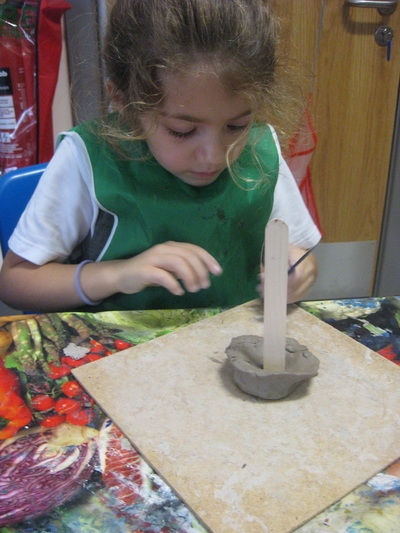 I find myself in a very privileged position, for which I am constantly grateful, because when I looked through the work I was overwhelmed at the depth that the children had reached into themselves to retell situations where they realised they had perhaps not previously acted in the best way , but with guidance they could do better a second time. I don't think I have ever given out so many house points as I did marking the work from this lesson. Well done class 4-you make teaching inspirational! 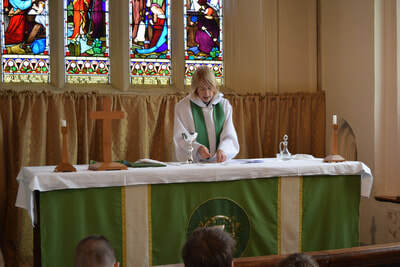 This year we will be holding our Prayer Week before the May half term break-week commencing Monday 22nd May. Do join us if you can! Class 3 is learning about The Trinity in RE and today they were trying to work out the meaning of The Grace. 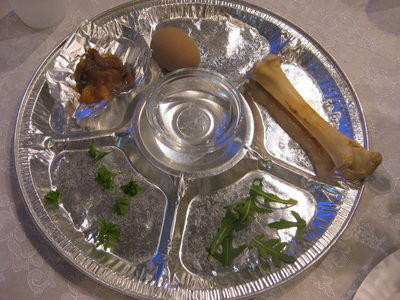 Using the 3 elements of God-The Father, The Son and The Holy Spirit, they came up with a whole bunch of ideas which, when pooled made the following Grace to be used by all classes at the end of the day. Before we go home, we ask God the Father to protect us and keep us safe, God the Son to remind us to love one another and God the Holy Spirit to be with us always. Amen. 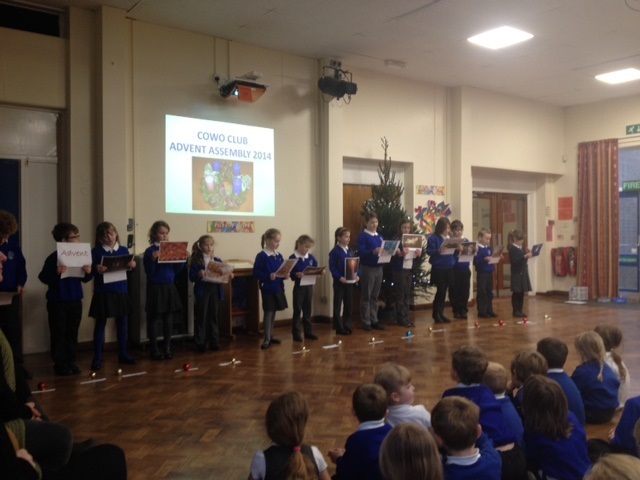 Back to church this afternoon for the latest CoWo Club led Assembly to celebrate the start of Advent. 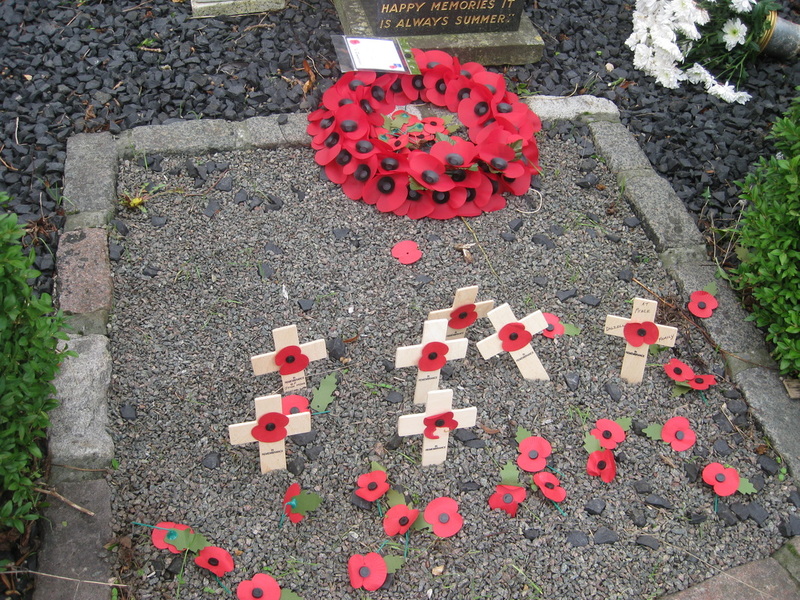 Following the inspirational Remembrance Service, numbers have increased and we are now a club of 21 members! With only two weeks to prepare, we met last week for a planning meeting, at which the children decided to use a giant Advent Calendar to explain the meaning of Advent. They came up with a whole host of ideas to hide behind each of the doors, leaving me on this occasion to write their script. I handed this out on Wednesday and we had one practice on Thursday. They were fabulous today; confident, organised, clear and authoritative. Their message was plain-Christians use this time to think of others and become better people. It was wonderful to be joined by so many parents and Church members, and it has been inspiring to be able to lead these assemblies in church. Thank you to John for helping us with the technology and to all those church members who stayed behind to clear up after us. Our church/school links are strong, something we should all be proud of. 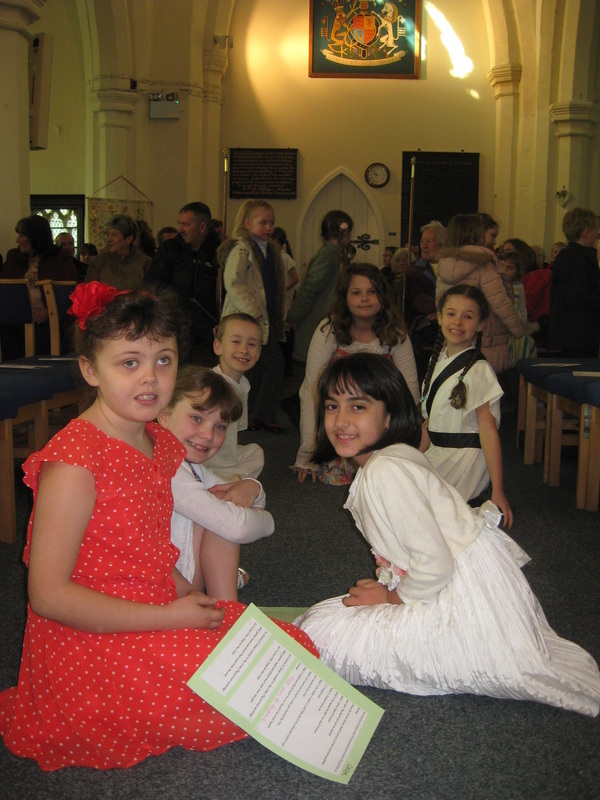 Ranging from Class F to Class 5, 16 members of CoWo Club led our Remembrance Assembly in Church this afternoon. 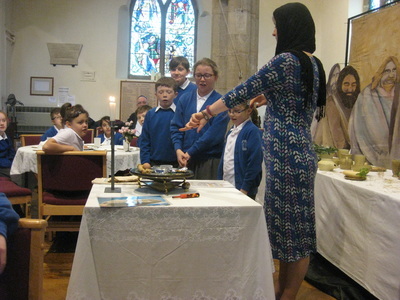 Yet again the children came up with a great idea for the service and presented their work with feeling and enthusiasm. Against a backdrop of black and white photographs the children reminisced about their wartime experiences. Led by Abi they then recalled all those from Hathern who gave their lives, adding their names to a giant poppy wreath. They concluded with their thoughts for the world that they would like to grow up in, asking all congregation members to go away and do their own little something to improve the world. This is a group of highly committed and hugely enthusiastic children who I am very proud to lead! Well done all! 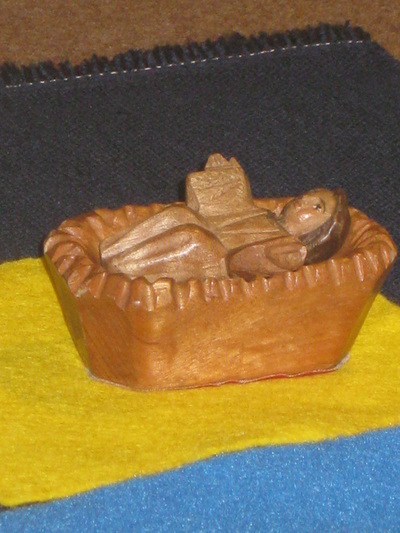 Advent beckons-what shall we do this year??? New Curriculum up and running! 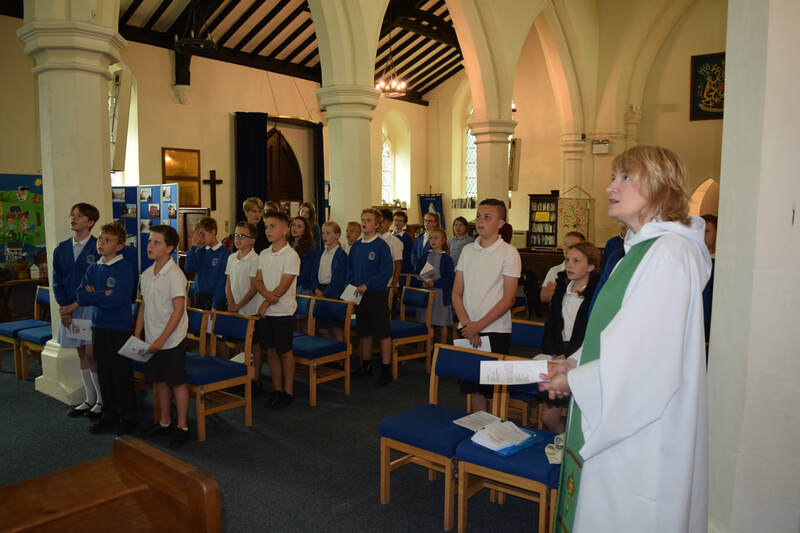 At the end of the summer term, I went to the launch of the new Diocesan Curriculum for Leicestershire, put together planning, and now, three weeks in, it is going well! The curriculum is based on "big questions" which for Class 5 this term is "Why do some people believe that God exists?" 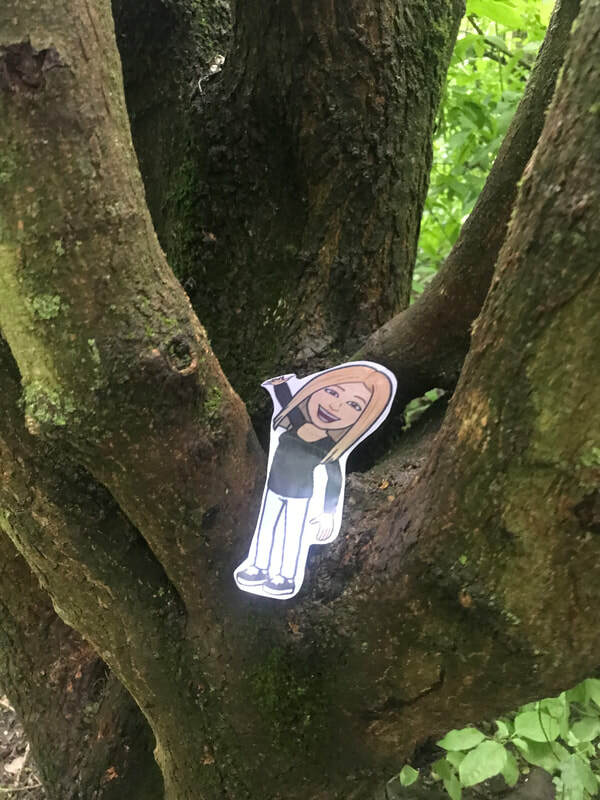 So far, the children have found out that far more people across the world believe in a God than don't, have learnt and understood the terms atheist, theist and agnostic and looked for metaphors for God in the Bible. I asked them to choose the metaphor that they felt said most to them, and to respond creatively. 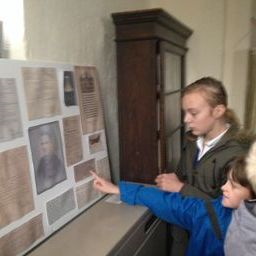 There were some incredibly good pieces of work and some of these have been put up on a display in church. 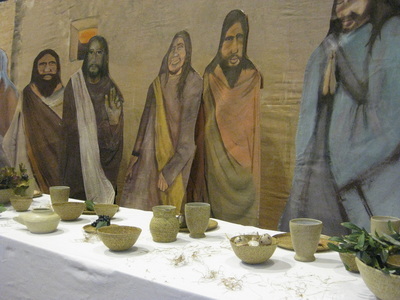 Have a look and find out why God is described as a potter, rock, shepherd, father or fountain. Last week some members of CoWo Club announced our participation in the Shoebox Appeal. In conjunction with SS Peter and Paul Church, we are filling shoeboxes to send to Moldova for disadvantaged children to open at Christmas. Each class is filling a box for a girl and a box for a boy of the same age as themselves, and we are asking for your contributions. Suitable items include small toys, toiletries and stationery; items that should not be included are any food items or anything with batteries. We will be filling 12 boxes-last year lots of families also filled their own boxes to add to the collection. Please do feel free to join us again. Boxes are available from church or from school. The closing date for boxes at school is Friday 14th October. Thank you! CoWo Club begins again on Thursday 22nd October at 12.30pm. This is a busy time for us with 2 assemblies in rapid succession! You are all invited to join us at these special assemblies, which this term will take place at church due to restrictions in our school hall during the building works. On Friday 11th November we were be commemorating Armistice Day and on Friday 25th November we will be welcoming Advent. These will both begin at 1.30pm and last approximately half an hour. Here at Hathern Primary we have a programme of religious festivals that different year groups take part in, in order to more fully understand the celebrations of different faiths. Today Classes 3 and 4 were celebrating the Hindu Festaival of Holi. They had a full morning finding out about its origins and then completing a range of activities to try to feel the festival in the way that Hindus would. I was fortunate to visit during the paint flinging and Rangoli pattern drawing. Everyone was having a great time and I enjoyed listening to their explanations. Well done to Miss Kirk and Mrs Bratton for an excellent morning! 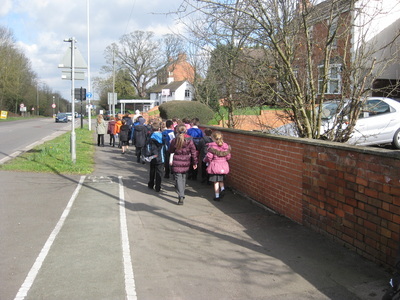 Today it was the turn of Classes 3 & 4 to go Prayer Walking. What a surprise we got when we opened the door to find 6 members of the Church waiting to join us! 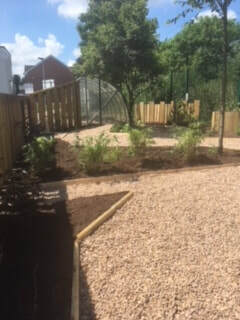 Big thanks to Rev Lauretta, Mr Yorkstone, Mr Worsfold, Mrs Reilly (again), Mrs Bulmer (3rd time), Mrs Harris and Mrs Leivers. Again the weather was kind and the children responsive. 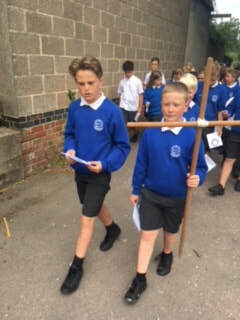 The children were all very keen to be the leader carrying the wooden cross! The comments from our church visitors was very positive and we are very grateful to them for leading our prayers. 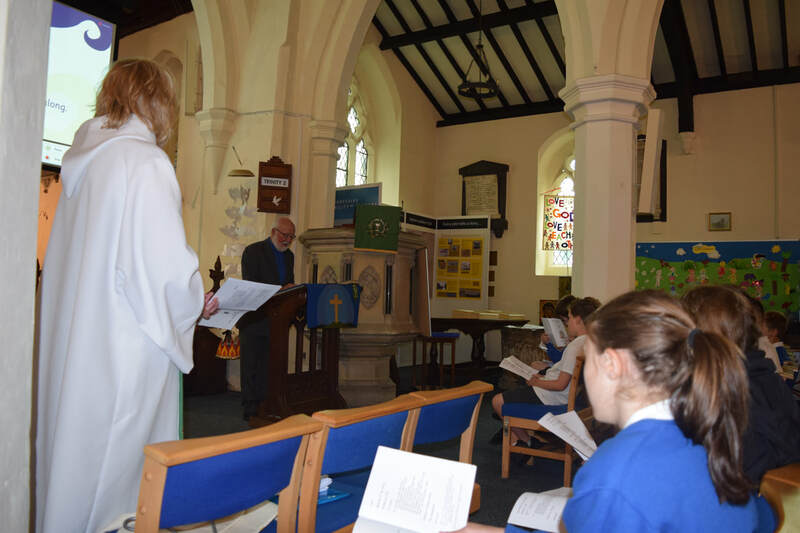 We are very grateful to members of the Church for joining us and helping to lead us in our prayers; Rev Lesley, Mr Leivers, Mrs Hack, Mr Hack, Mrs Worsfold, Mrs Reilly and Mr & Mrs Wigley. 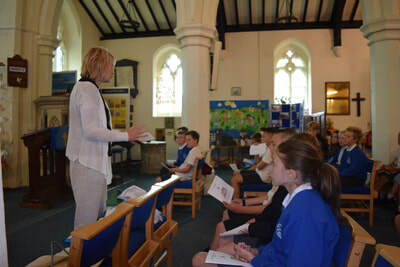 Mrs Cripps and I had the pleasure of taking Class 5 to St Botolph's Church in Shepshed today to find out first hand about Passover. Against a backdrop of life size figures of Jesus and His Disciples at a table prepared for the Last Supper, we were invited to take a seat at one of the beautifully set tables and then joined Mr Munroe as he talked us through the Passover feast. 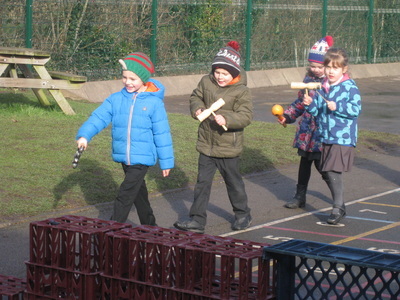 At each step the children were told about the significance of each item of food that they were trying and joined in as Mr Munroe recited centuries old prayers. When the Passover Feast was finished, the children were reminded that Jesus was celebrating this feast the night that He was betrayed. 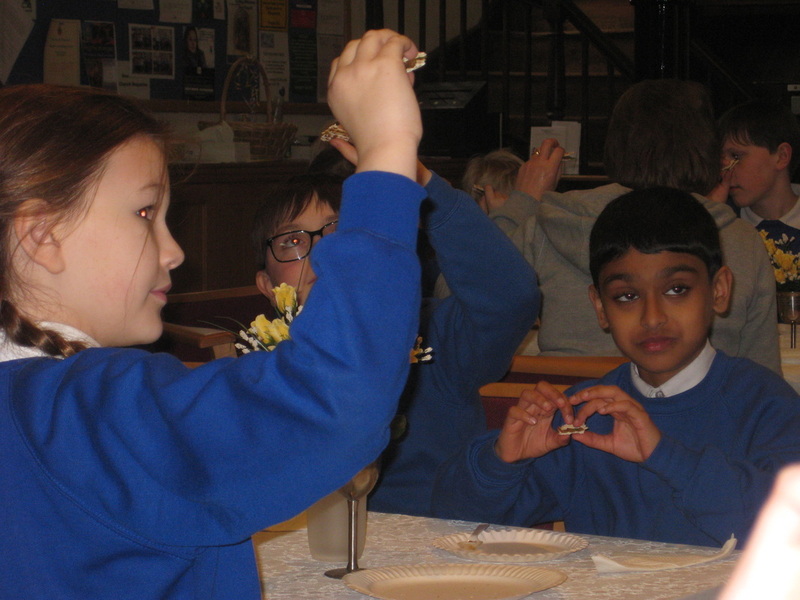 They were then reminded of how Jesus rose again, and learnt about two very different Easter traditions from Europe. The new topic in KS2 this term is "How people express their Faith through the Arts," and today in Classes 3 & 4 the focus was Christianity and music. The children rightly identified that Christians sing hymns to express their Faith. We listened to a hymn from 1931, "Morning has Broken," and compared it to a modern praise song by Stuart Townend, "The Man who Calmed the Sea." The children listened to a an interview with Stuart Townend where he described how he got his inspiration. They worked out that modern praise songs express a person's incredulity at God's work, rather than the old style of hymn that tells us what we should be grateful for. It was then over to them to create, in small groups a short piece, to the tune of Frere Jacques. Here are the fruits of their labours! Well done all!! To mark Shrove Tuesday, Key Stage 2 children ran their traditional pancake races at break and then were treated to warm pancakes afterwards. 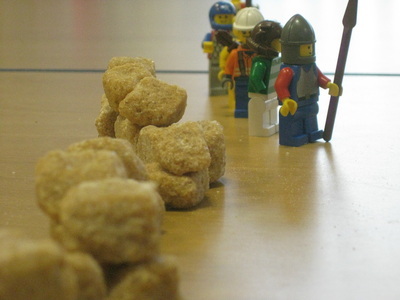 As a Church of England School, it is important to mark these Religious Festivals. Tomorrow is Ash Wednesday and the start of Lent. Traditionally Christians have "given up" something for Lent to remember and reflect on the time that Jesus spent 40 days in the wilderness where He was tempted 3 times by the devil. More recently the move has been to try to do "something extra" during Lent, for example keeping a usually untidy bedroom tidy, not arguing with a sibling or doing something kind every day. 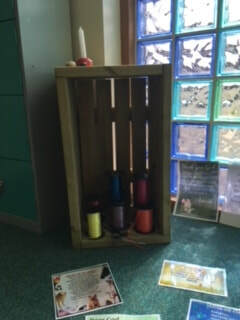 Our Prayer Space this year will be themed on Kindness and Lent could be a good starting point. Across the school, the talk is all about Hinduism! 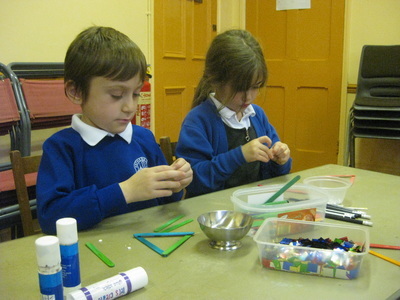 From the basics in Class F to the more advanced thinking in Class 5, it's all things Hindu at Hathern this half term! Follow the link to find out more! 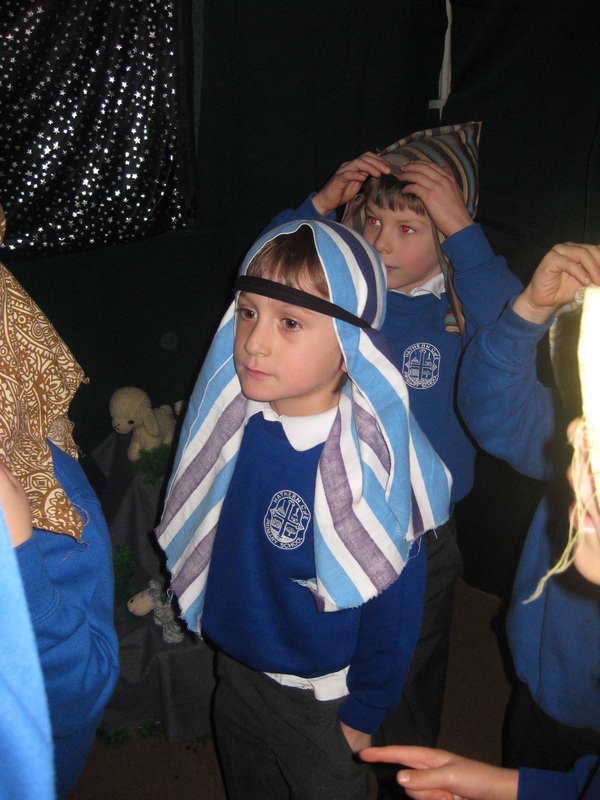 Class 2 has been on A Journey to Bethlehem! Last Thursday Mrs Abbott and Mrs O'Neill took the children to Sutton Bonnington Methodist Church for an exciting morning finding out about the true meaning of Christmas. The children journeyed through a series of houses meeting Mary, an angel. 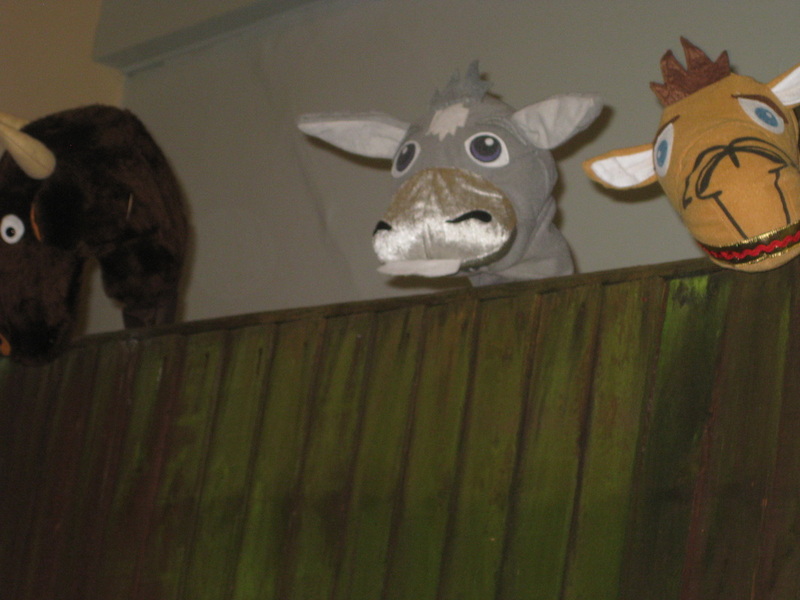 some animals in a stable, a wise man and a storyteller. At each place more clues were revealed until the children found out that God sent Jesus to repair the damage done to His world and bring hope to everyone. They made a shiny star to remind them that Jesus is the reason for Christmas! With the help of a stageful of visitors, including parents, grandparents and church members, Advent well and truly arrived at Hathern C of E Primary School today. "The Christian Message really came across." said one very happy Grandma! CoWo Club, you were brilliant. We could really hear what you had to say! You made such a big effort to be loud! 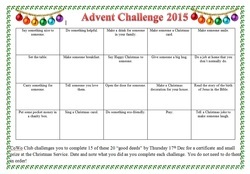 So now the challenge has been laid down - will you be able to complete the Advent Challenge? You need to do 15 of the 20 tasks and hand your sheet (click on the image above to download a copy) back to Mrs O'Neill on Thursday 17th December, for a certificate and small prize to be awarded at our Christmas Service on Friday 18th December. 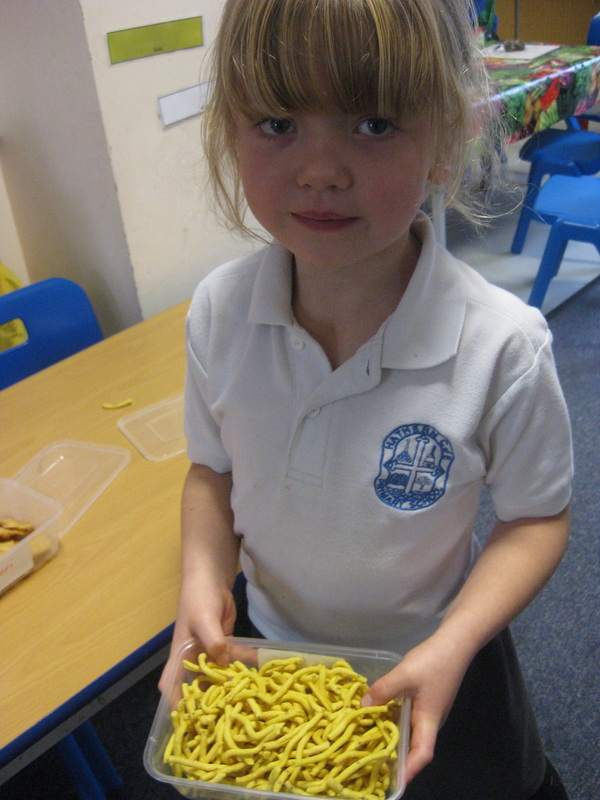 Diwali, or the Festival of Lights, came to Hathern this week! 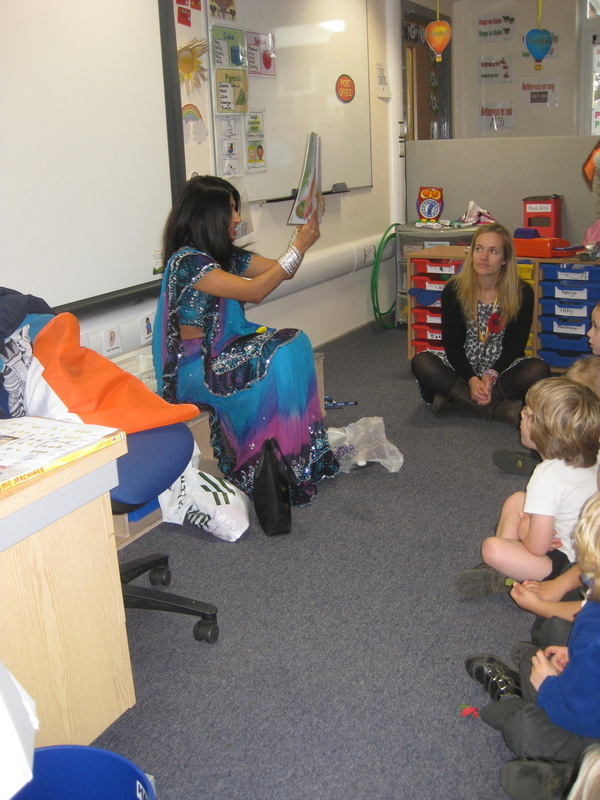 Thank you to Mrs Biggs for arranging for her friend to visit Classes F and 1 and teach them all about this Hindu Festival. The children heard the Diwali story of Rama and Sita, made Diva lamps and Rangoli patterns and found out all the ways in which Hindus celebrate. They were especially interested in her beautiful outfit! Meanwhile 11 children from Class 5 took a trip to Mellor Community School in Leicester, for the first of several exchange visits to learn about festivals celebrated by other religions. Their first visit to us will be to join us for some Christmas celebrations. Our children were met by their 60 year 6 children and were made very welcome. We were treated to a re-run of their Diwali assembly, and then the children all had the opportunity to get to know each other as they made Rangoli patterns together. 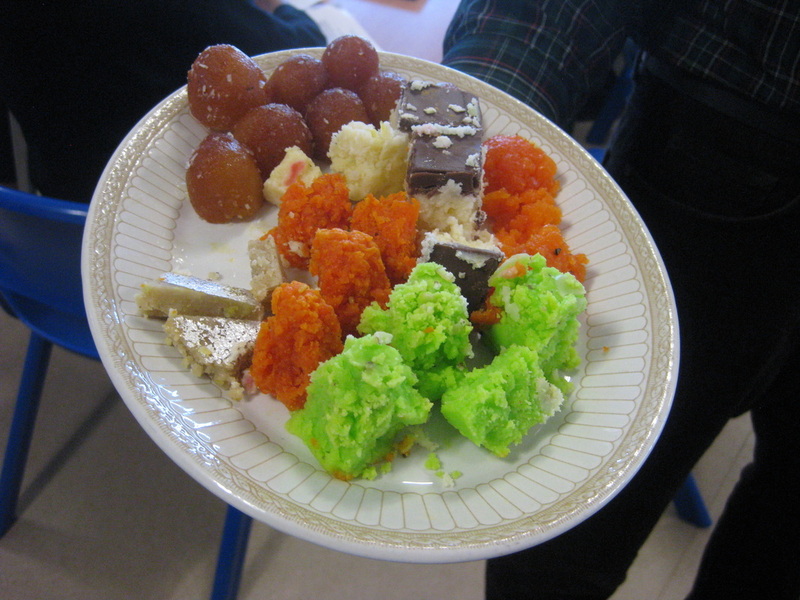 They all then shared special Hindu sweet treats that are central to the celebrating of Diwali before spending break together. After break we saw a DVD of the Year 2 Assembly and some of the girls did Indian Dancing. It was a A great start to what will hopefully be a long and fruitful twinning! Thank you to Bill Lievers, Foundation Governor for setting this up. 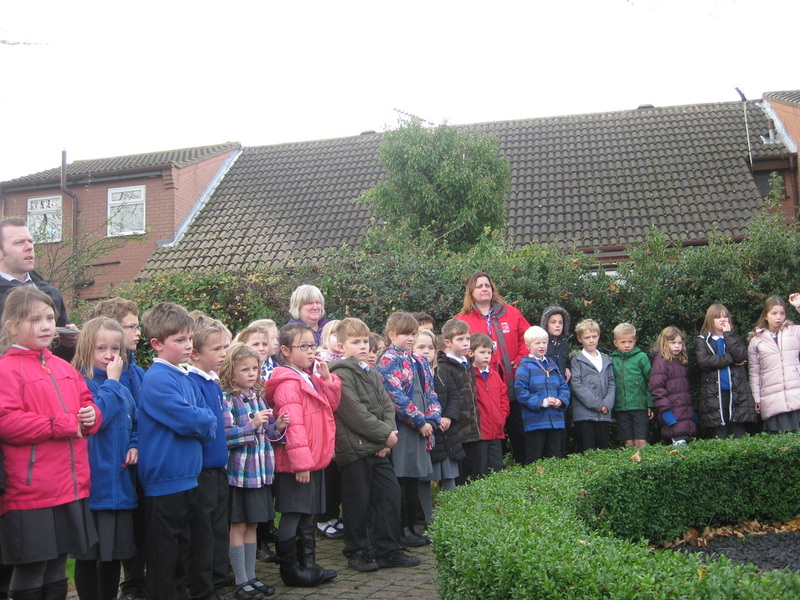 Key Stage 2 children and staff were joined by Class 2 for a short Act of Remembrance at the War Memorial, located in the Cemetery, on Wednesday morning. 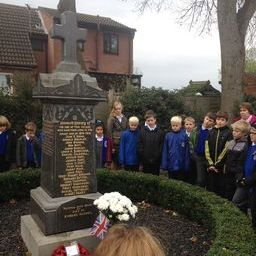 Mr Stephenson led the Act, reminding the children of the importance of remembering those who fought so valiantly for the freedoms we enjoy today. 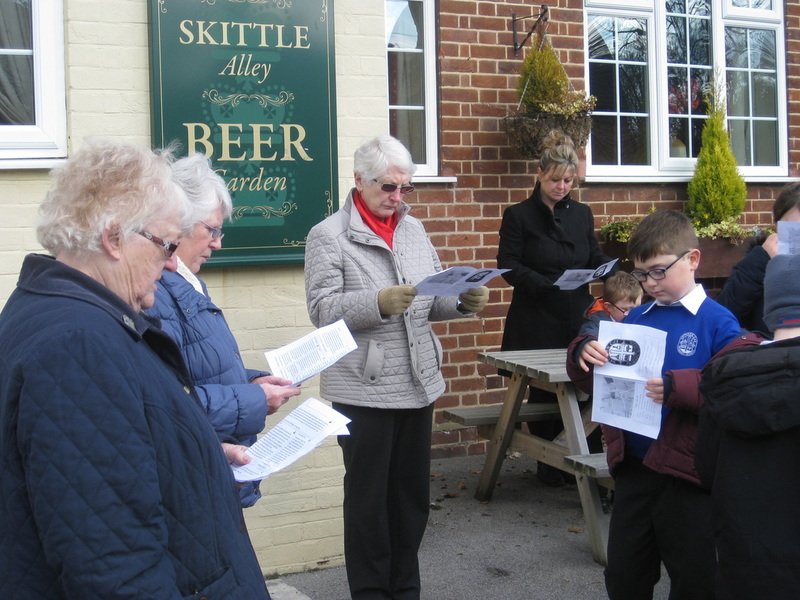 The names of all those who gave their lives from Hathern were read by staff, and as the church bells rang out the 11th hour of the 11th day of the 11th month, the children observed an impeccable 2 minute silence. 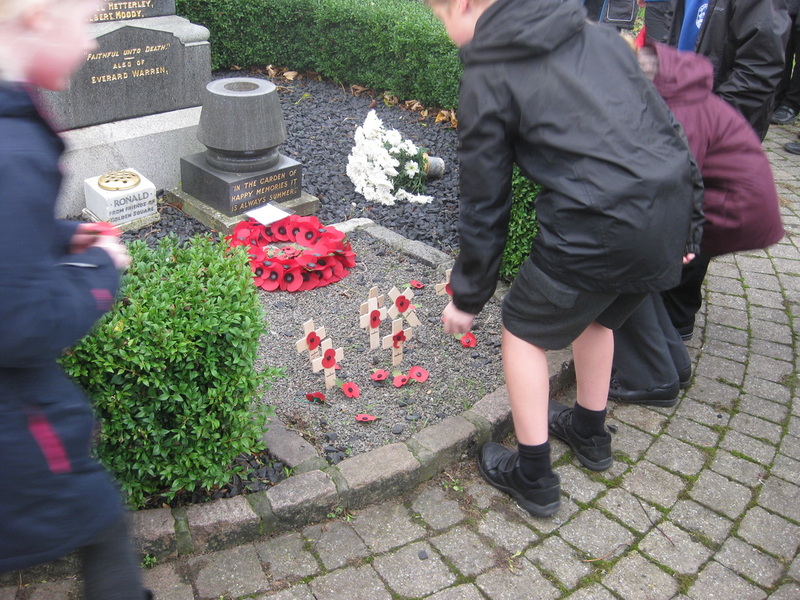 The silence was followed by the Last Post, and then volunteers from Class 5 read poems. As the children left the site, those who wished to laid their poppies at the foot of the memorial. Well done, CoWo Club. 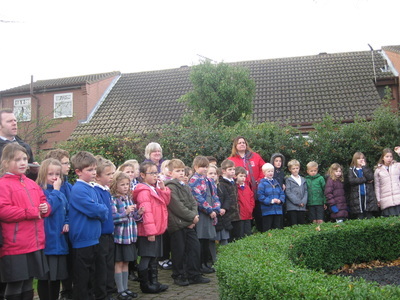 This afternoon's Act of Remembrance was very thoughtful and moving. 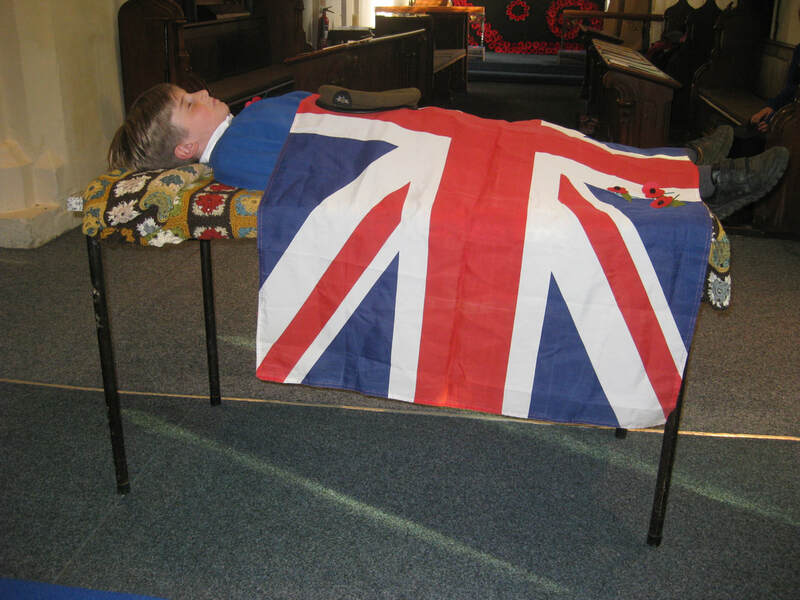 Your tales from the lives of your relatives that served their country on our behalf were inspiring and made the service very personal. We won't forget Emma's Great Grandma's lucky escape or her Great Grandad collapsing of exhaustion as a prisoner of war, or Sebastian's Great Grandad who made the most of it and played on the bomb sites. 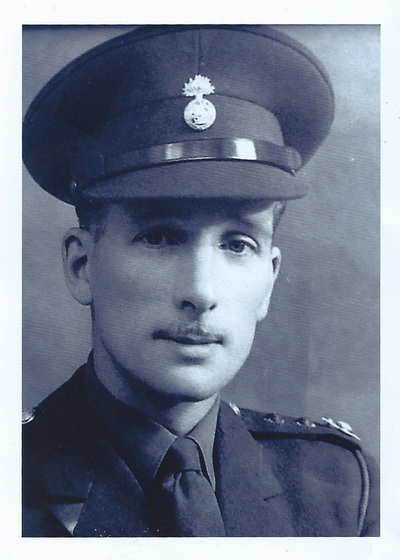 We will always be grateful to Jessica's Great Grandad Morby for his role in the sinking of the Bismarck, and to her Great Grandad Johnson who fought in the heat of Burma. We shall be inspired by the determination of Henry Nobbs, Clara's Great Grandad for carrying that ring all round Italy till he could get home and propose. We will thank the ladies such as Daisy's Great Nanny Glen and Daniel and Eleanor's Great Grandma Joan who went to work to keep the country going while the men were away. 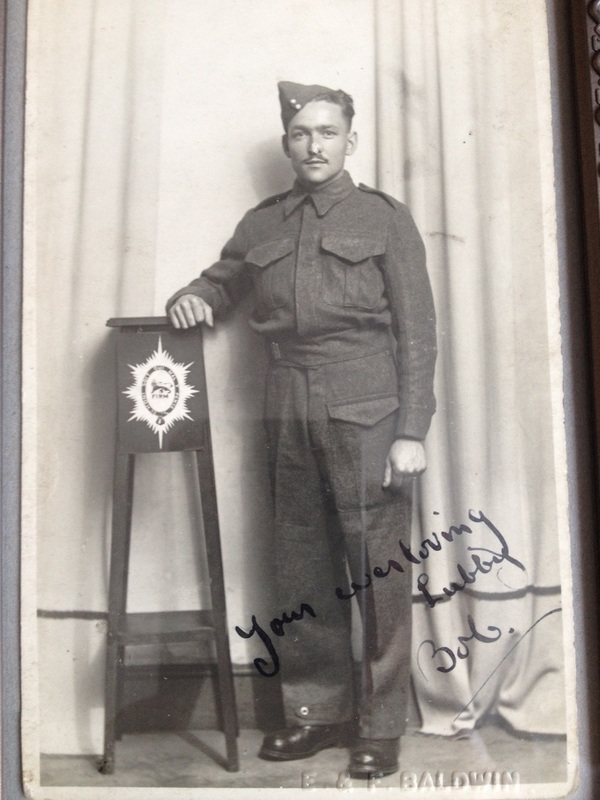 We will take strength from Daniel and Eleanor's Great Grandad Bob who continued to pray for an end to the foolish war. We will praise the bravery of those who protected our way of life, like Daisy's Great Grandad Stan in his mine sweeper and Daniel and Eleanor's other Great Grandad who served in the Home Guard. We salute those who even today work to protect our nation like Honey's Daddy when he was in the TA. To those of you who read poems or prayers that you had found or written-thank you. 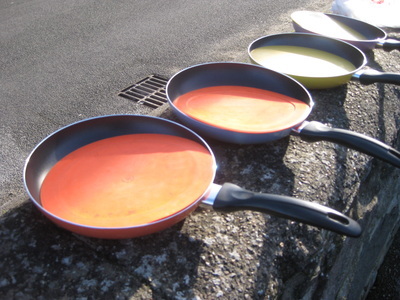 It joined the service together brilliantly. Finally a big thank you to the many parents and grand-parents and church PCC members who came along today to remember with us. We were very grateful for your company and hope that you were inspired! Prayer Week 2015 Reaches its Climax! Our Prayer Week came to a dramatic climax this afternoon as the school gathered on the playground to burn the prayers that had been written in our Prayer Space. 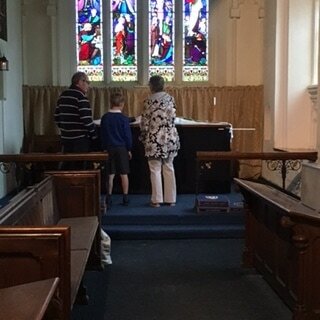 During this week all children went out on Prayer Walks accompanied by members of the church congregation, and the Prayer Space was open for those who wished to visit. 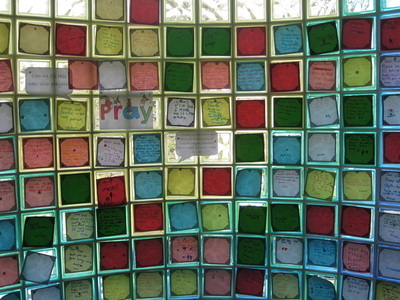 A staggering 116 visits were made to the Prayer Space and the wall was almost full of prayers. 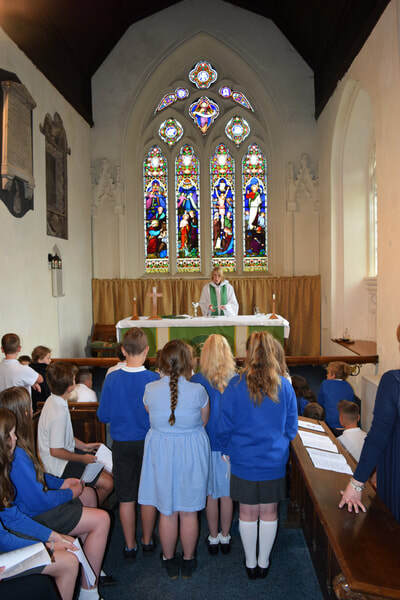 The children commented on the peaceful and calming atmosphere and how they had not really thought about putting their prayers into real words before. 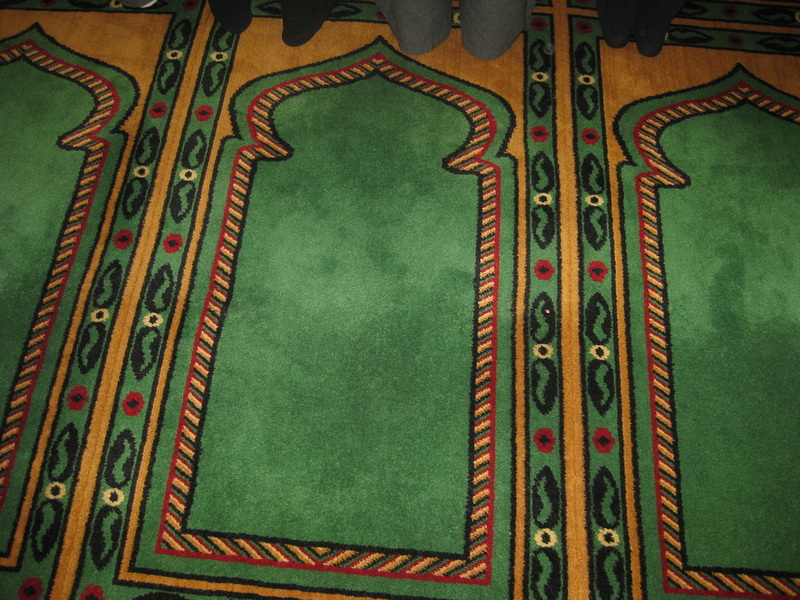 There were some incredibly deep and meaningful prayers, some of which will appear here later! 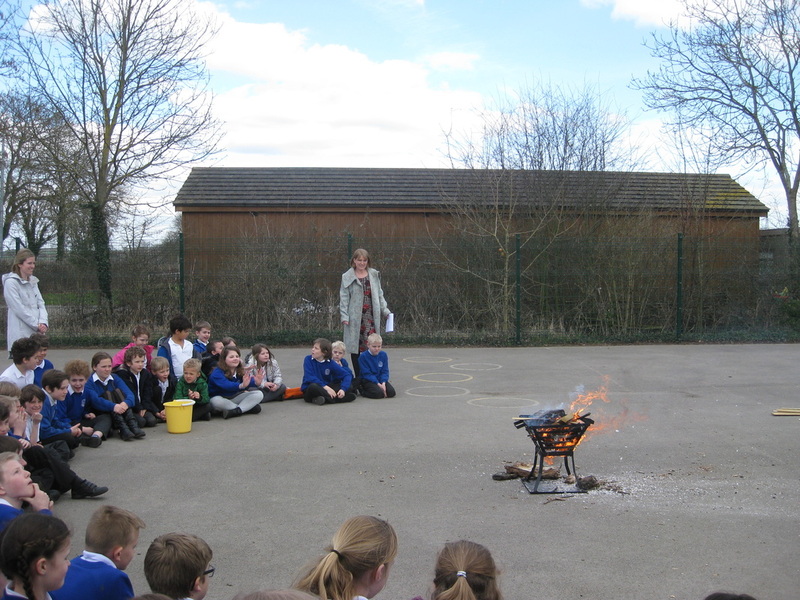 This afternoon each child brought their prayer to the fire pit, and then looked on the flames enveloped them. As the smoke drifted up into the air symbolically carrying the messages to God, the children listened to a special prayer. It was a great way to bring everything to a conclusion, and I am sure that the memories of this day will live long! 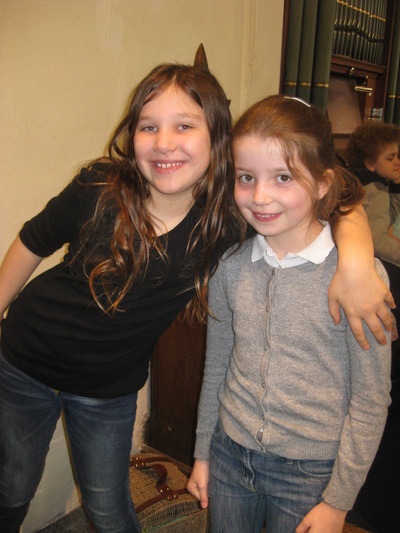 Thank you to the members of the church congregation who joined us for this occasion! That is the verdict of staff and parents as they left the Easter Service this morning. Well done CoWo Club-you should feel very proud of yourselves! The service was both moving and uplifting as we heard of the dreadful treatment of Jesus Christ on His journey to Calvary, but then witnessed His amazing resurrection. 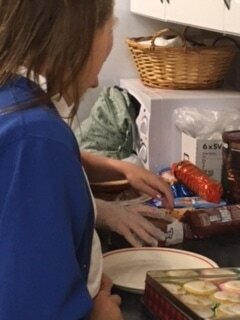 This term has seen CoWo Club soar to its largest ever attendance of 21 pupils, who give up 1 lunchtime a week to plan, write and prepare services like these. Watch out for a new venture planned for next term!! 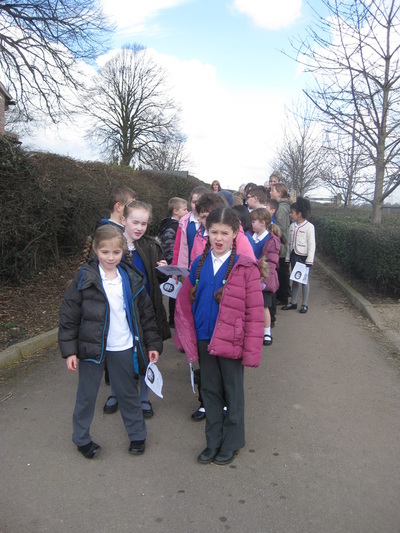 This morning Class 3 headed out on their prayer walk accompanied by members of the church congregation. 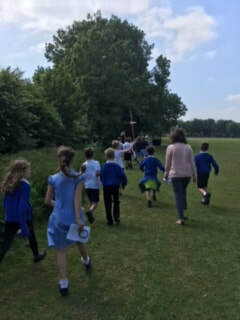 Mrs Hack, Mrs Harris, Mrs Riley and Mrs Bennett walked with us and shared the reading of the prayers-thank you very much ladies! The sun shone and the children showed great respect for what we were doing. At each of 7 stops we heard part of the Easter story and then prayed the prayers that the children had themselves written. Back at school the children feedback about the experience-here are some comments! In the afternoon, Class 1 went out on their Prayer Walk. They were accompanied by Rev Lesley Butler, Mrs Worsfold and Mr and Mrs Wigley-Thank you ladies and gent! It's only Tuesday-but look at our Prayer Wall!! 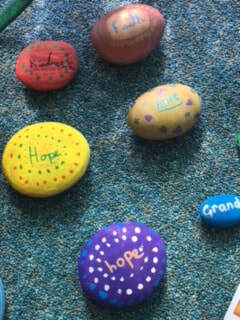 Our Prayer Space has been very busy. 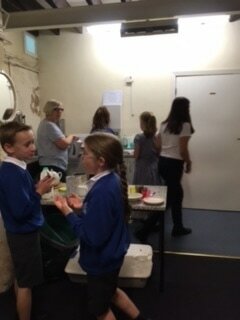 So far there have been 61 visits, and that includes 3 families who came to the space together after school today. There are some very thoughtful and deep prayers; each colour represents a different prayer category, green for peace, white for loved ones who have passed away, yellow for help. Don't forget there is still time to use the space, lunchtime and after school on Wednesday and Thursday. 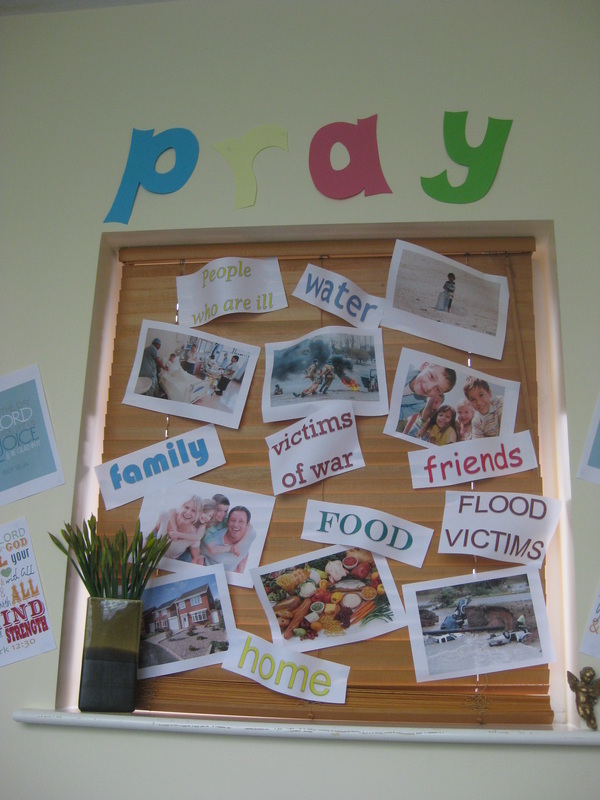 Next week, w/c 23rd March is Prayer week at Hathern C of E Primary School! 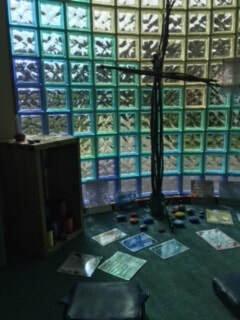 The Prayer Space is all set up and the Prayers Walk map and prayer sheet is ready! 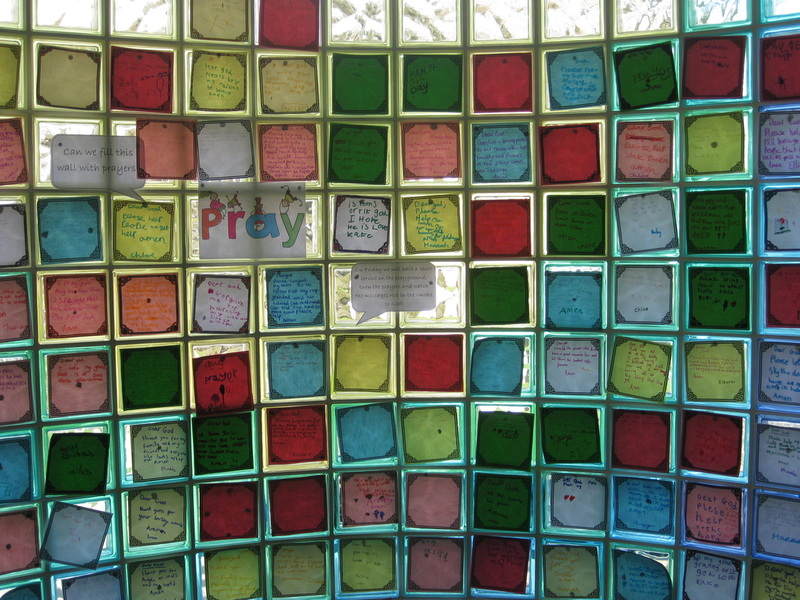 This year we are trying to fill the block glass window with "Prayer Squares!" 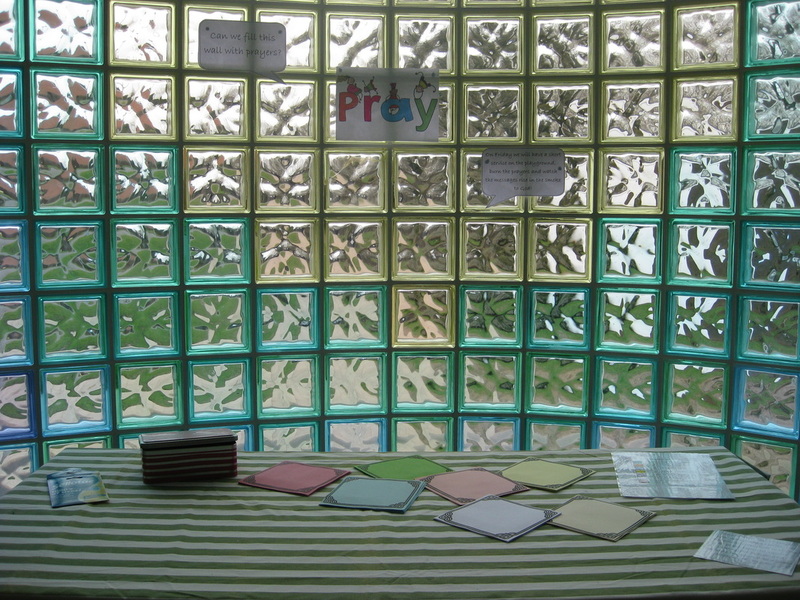 Children and their families are invited to visit the Prayer Space Mon-Thurs lunchtime and after school to write prayers to put on the wall, and to spend some time in quiet prayer or reflection. On Friday afternoon all the prayers will be burnt at a short service on the playground so that the children can watch their messages be transported to God in the smoke of their prayer squares. 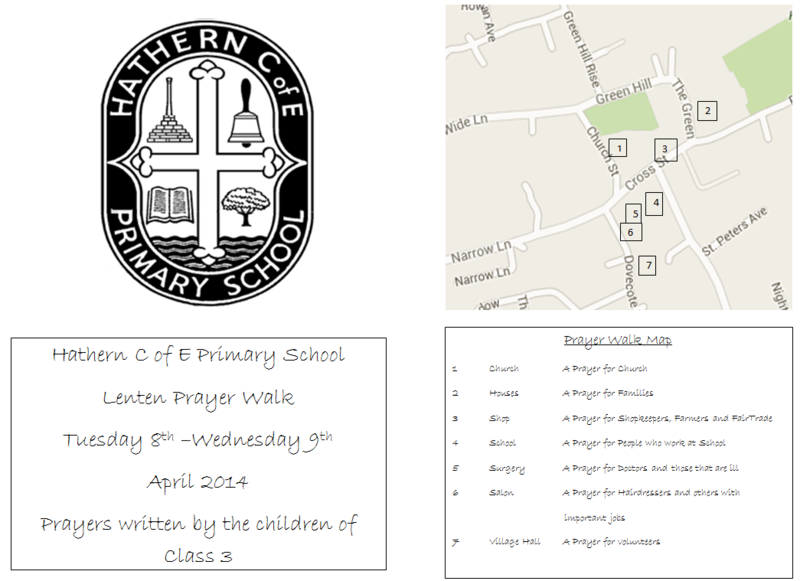 In addition each class will make a prayer walk round Hathern during their RE lesson next week remembering the Easter Story and saying prayers inspired by element of the story. 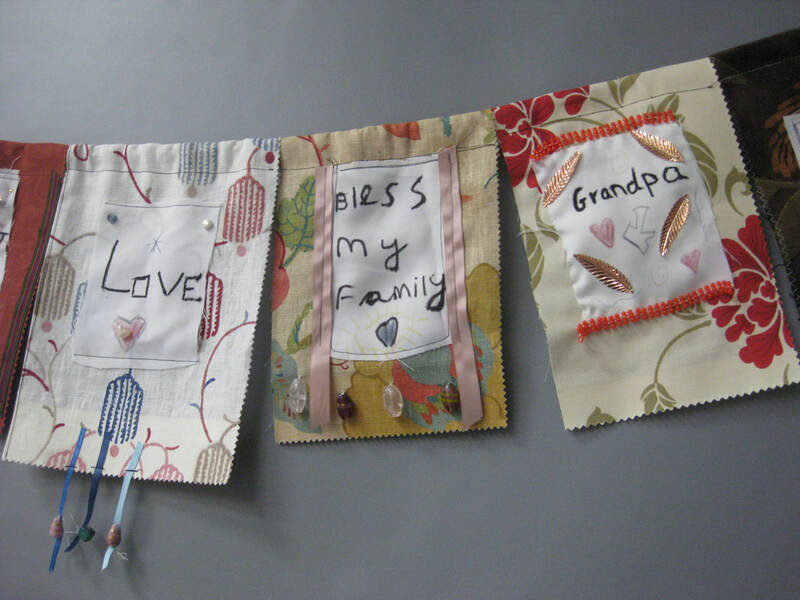 The children will bring home their prayer sheet so you will be able to share with them what they have been praying for, or maybe even revisit the walk with them in the week leading up to Easter. ﻿In Key Stage 1 this term we have been reading and discussing Stories from the Old Testament. This week the story was Joshua and the walls of Jericho. 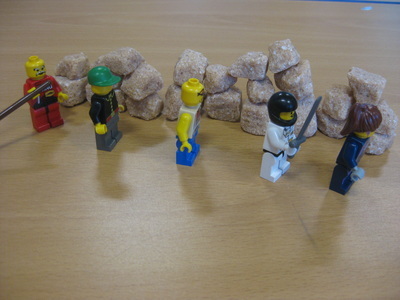 Class 1 children had the opportunity to build a wall and march around it as Joshua and his tribesmen did, while playing their musical instruments. Class 2 built a wall from sugar cubes and dressed Lego people with swords and flags to march round their wall. Both classes then thought about Joshua and his need for help from God, and they wrote about what they can't do yet and who they get help from. 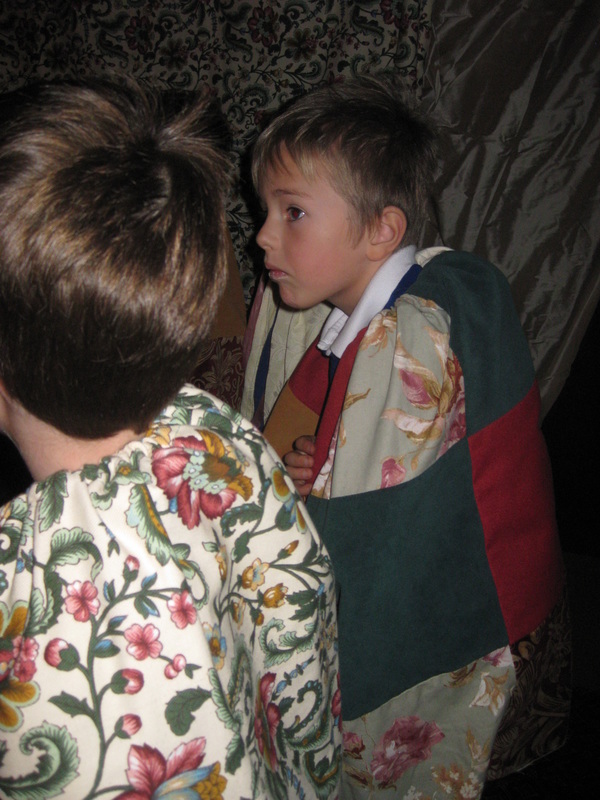 Earlier in the term, the children had the chance to show off their amazing French when we combined the story of Joseph and his Coat, with our knowledge of colours in French. 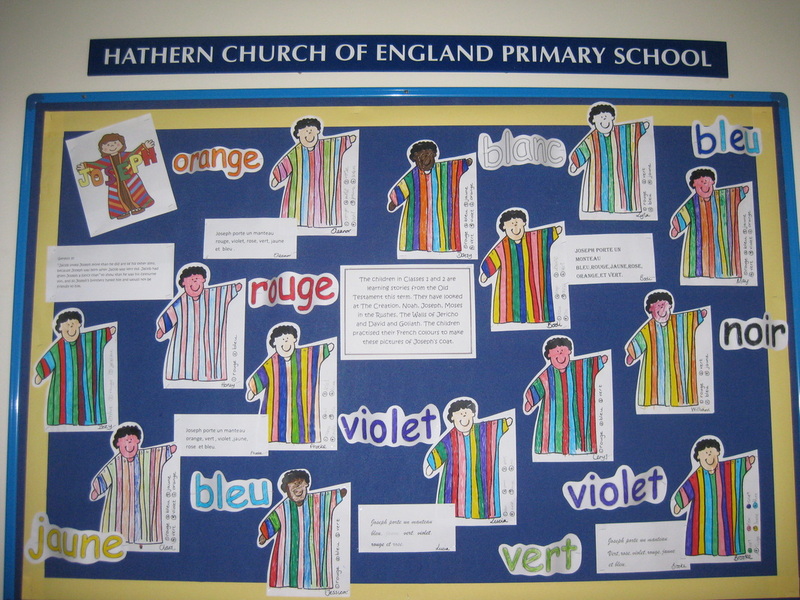 You can see this colourful display of our work on our school notice board in church. Well done CoWo Club! Yet again you managed to pull off a very thoughtful and enjoyable Assembly. Your audience really appreciated the novel way it all began and I think we will find lots of children and adults putting prayers in our Advent Box and writing about their "good waiting" experiences! Let's hope they also buy lots of Links for Tanzania! Don't forget to come to CoWo Club on Wednesday to sort out the end of term Christmas Service!! The Staff and Pupils had a very informative and thought provoking day in Leicester today to visit a total of 5 places of Worship. The day started at St Philip's Centre, where we were welcomed by Dr Margaret Bonney, who had arranged all our visits and co-ordinated our timetable, and her colleague Kartar Singh Bring. Thank you to them both for the preparation beforehand and their input on the day. 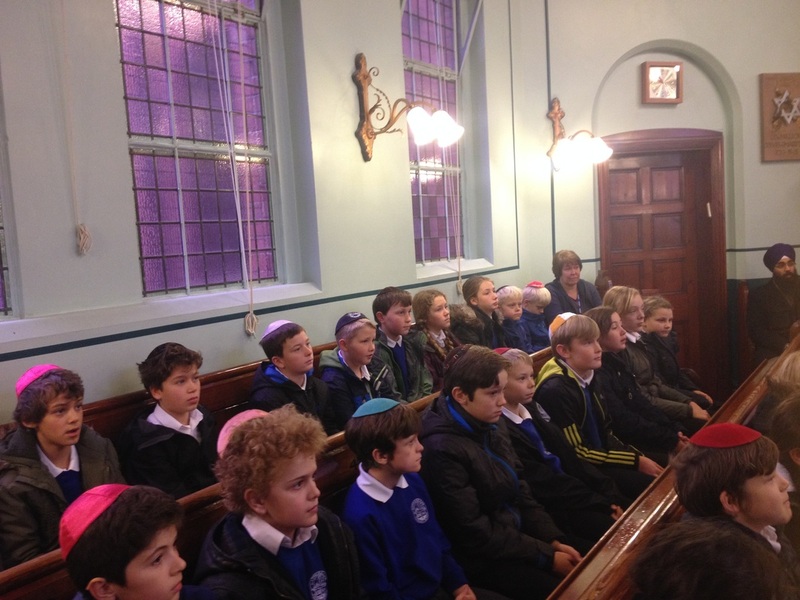 The two classes then split up for the remainder of the morning, Class 3 visiting Oadby Central Mosque and Class 4 Leicester Hebrew Congregational Synagogue. Both classes met back at St Philip's Centre for lunch and refreshments and a comparison of the morning's events before heading off in separate directions for the afternoon session. Class 3 went to Shree Jalaram Prarthana Mandal and Class 4 to the Gurdwara Amar Das. It was a most interesting and educational day and the children asked some very interesting questions. 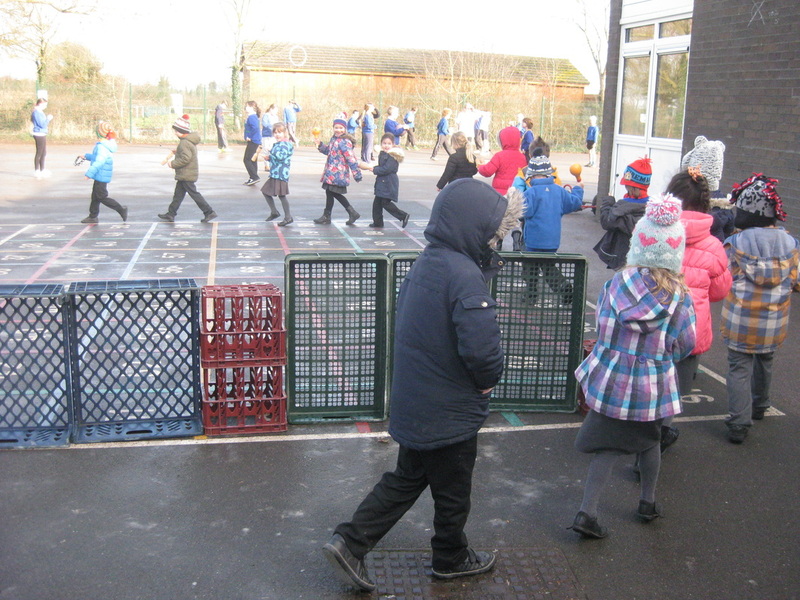 I spoke briefly to some children at lunchtime and at the end of the day and their responses were hugely positive. 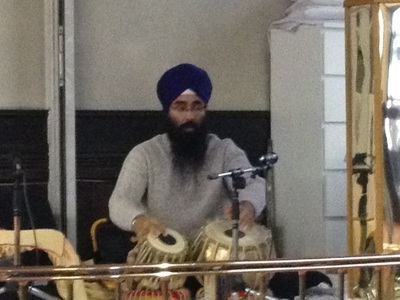 "Visiting a Gurdwara has been one of the highlights of my life." "I actually got to touch the scroll in the synagogue!" 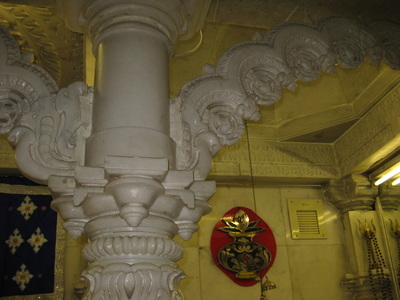 "This morning was very educational, but the inside of the Mandir this afternoon was beautiful-there was so much to see." " They let us go round the back of the Guru Granth Sahib, and we looked over his shoulder and saw the words he was reading. And all the time he was fanning it!" Following their wonderful Armistice Day Service, CoWo Club are busily preparing their next assembly, which will be to celebrate Advent. This will take place on Monday 1st December at 1.10pm. 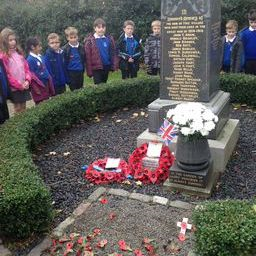 The Staff and pupils of KS2 made a pilgrimage to Hathern's War Memorial today to observe a 2 minute silence. 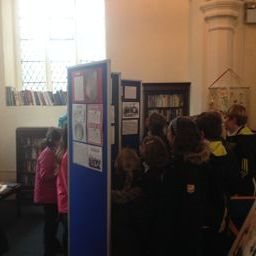 Before walking to the cemetery they stopped off at the church to visit the Local History Society's display about the men from Hathern who gave their lives. The staff and children read stories about men who had only been married for 18 months, or who witnessed the death of their brother or who died when the war was barely a month old. 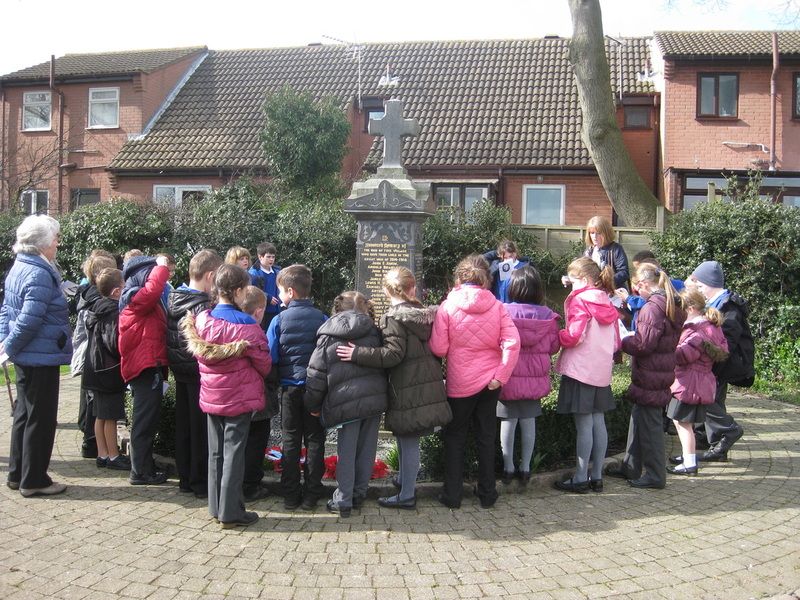 Once at the War Memorial they listened to prayers, the Last Post and the reading of the names of the Fallen as well as observing impeccably a 2 minute silence during which they were able to reflect on the very real men they had read about. They were pleased to be joined by Mr Dunn, who told them how very proud of them he was, and by Sue Hack, Licensed Reader from Hathern Church. 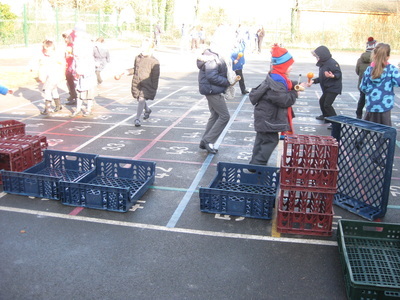 It was a very meaningful experience and will hopefully become a tradition for the KS2 classes over the next few years. A huge well done to Sophie, Rachel, Niamh, Michael, Sebastian, Zoe, Eleanor, Abigail, Alex, Daisy, Hannah, Daniel and Libbie for your excellent input to today's assembly. 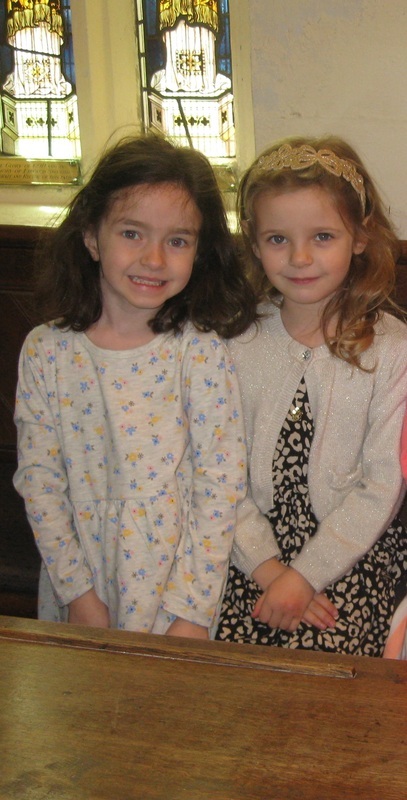 Get well soon Emma-we missed you! You all played your parts very well and it was fantastic to see the thoughts and ideas you had 5 weeks ago come to life like they did today. Thank you also to the parents for supporting us at this service. See you on Wednesday CoWo Club, we have an Advent Assembly to plan!!!! 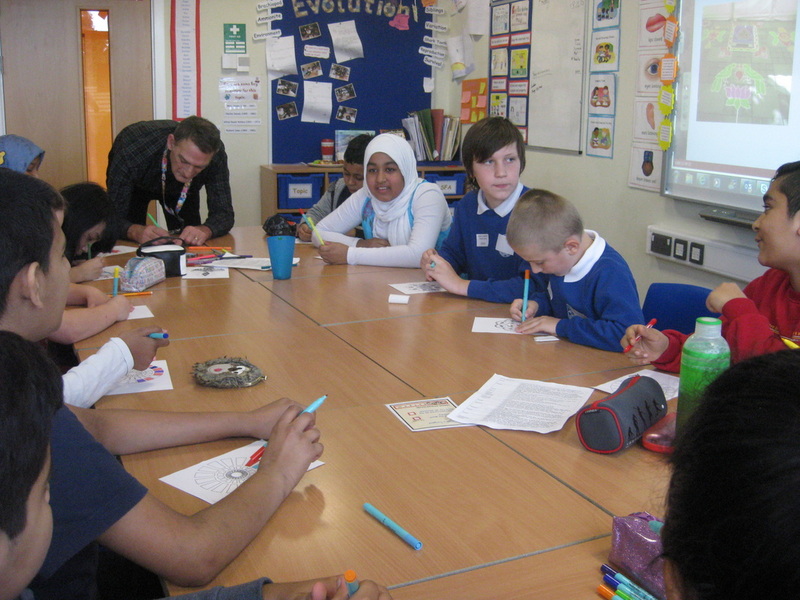 Collective Worship Club met today-Wed 10th Sept- to plan their next assembly. With a record crowd of 15 children this term, ideas flew round the table and after much discussion it was decided that with the 100th Anniversary of WW1 with us, an Armistice Day Assembly would be the perfect event to plan and lead. 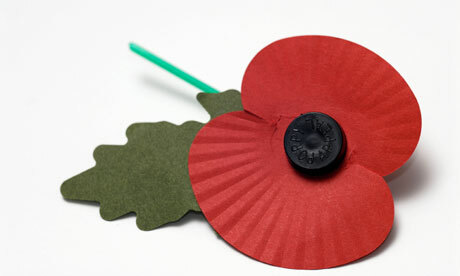 An invitation will follow, but please "save the date" of Monday 3rd November if you would like to commemorate with us.